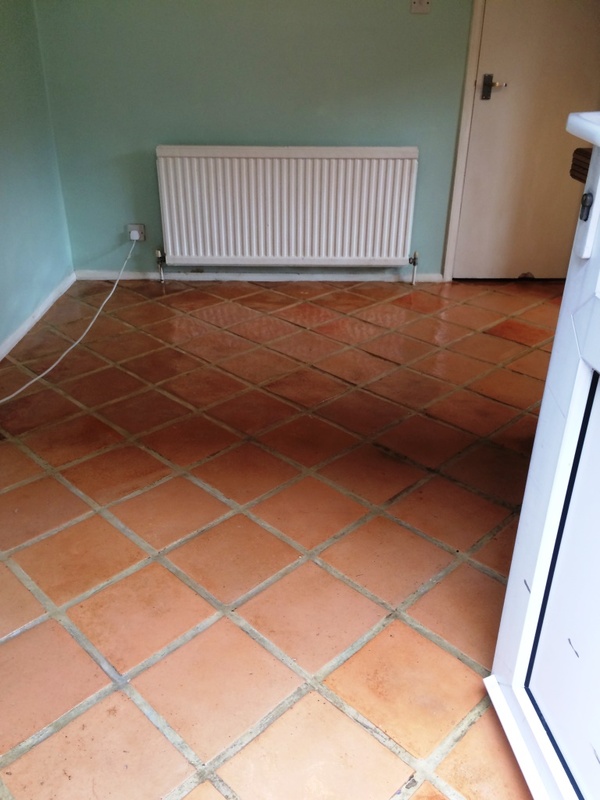 Not too long ago, I was contacted by a client in the town of Wickford, which is a fairly small, quiet town in the south of Essex. 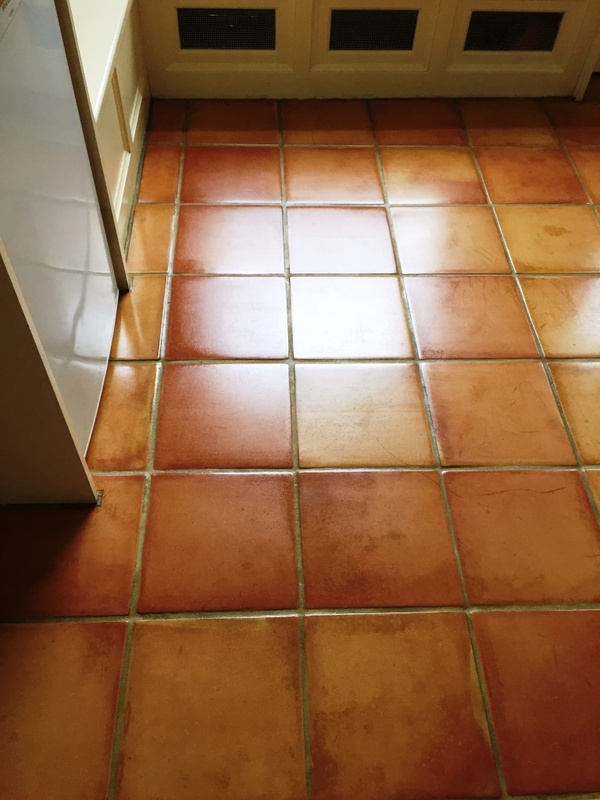 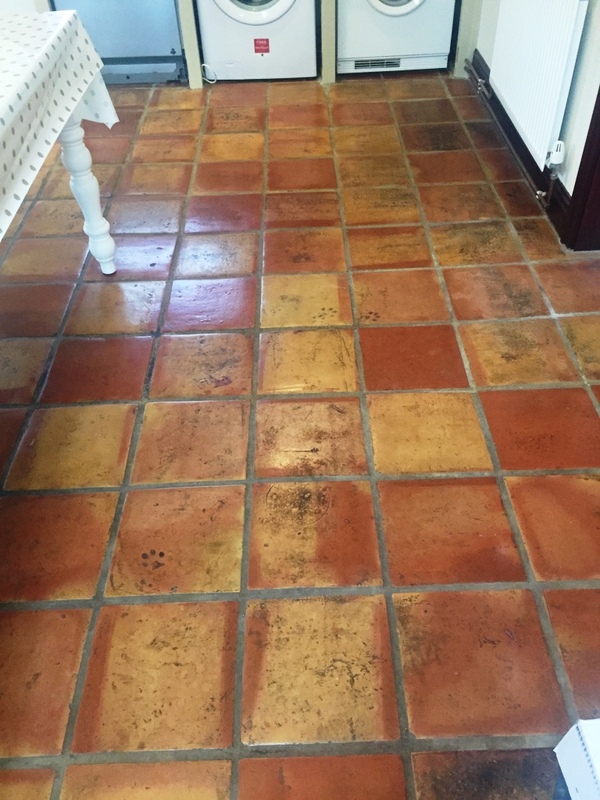 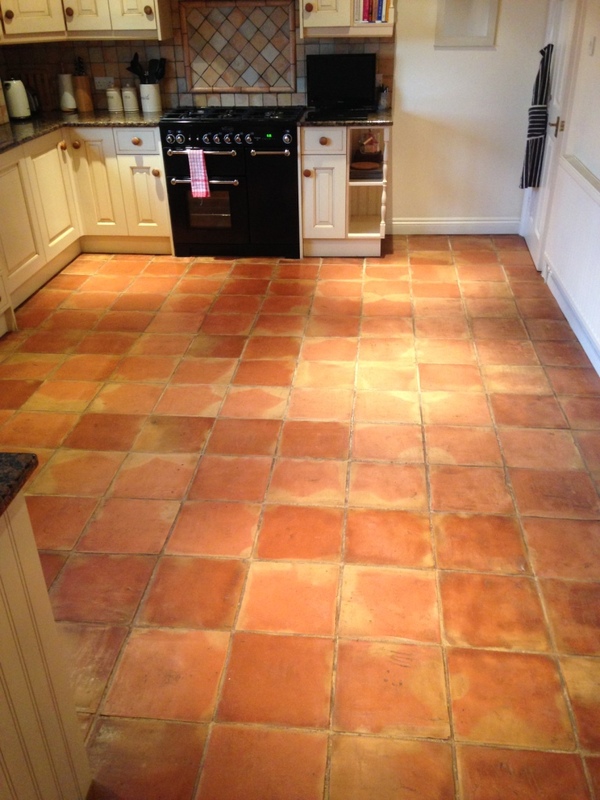 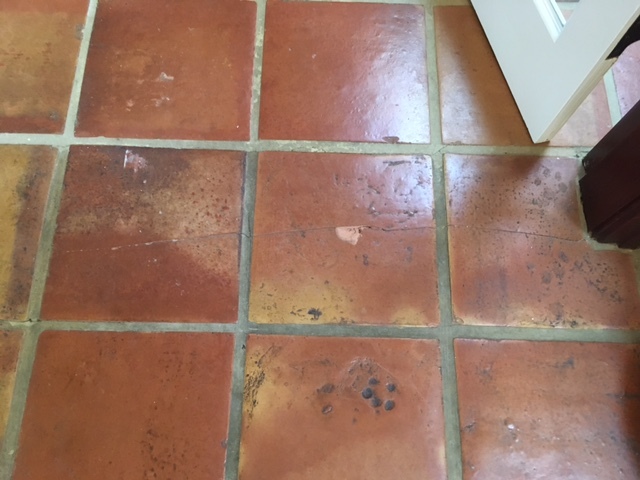 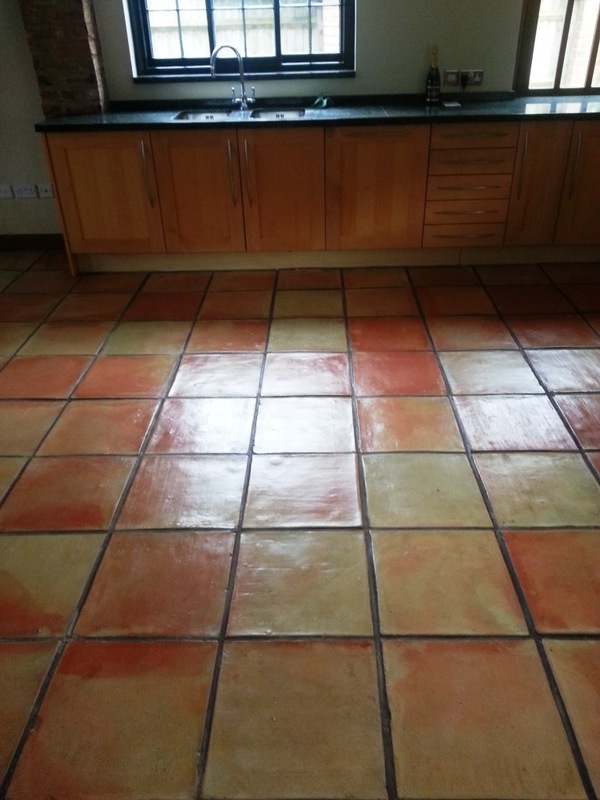 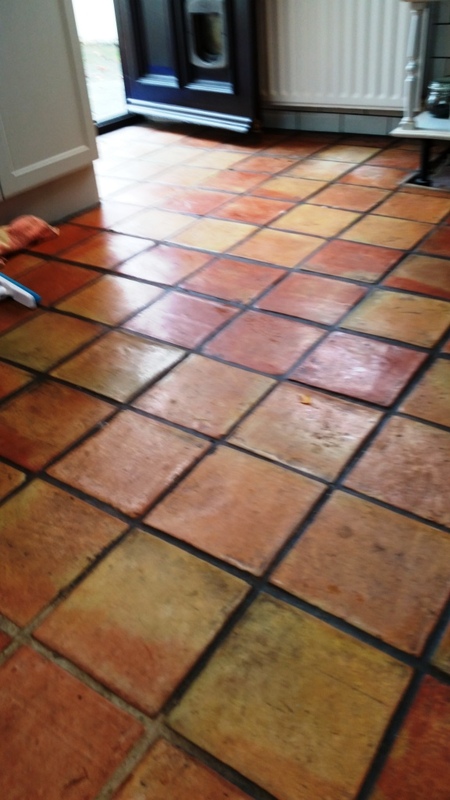 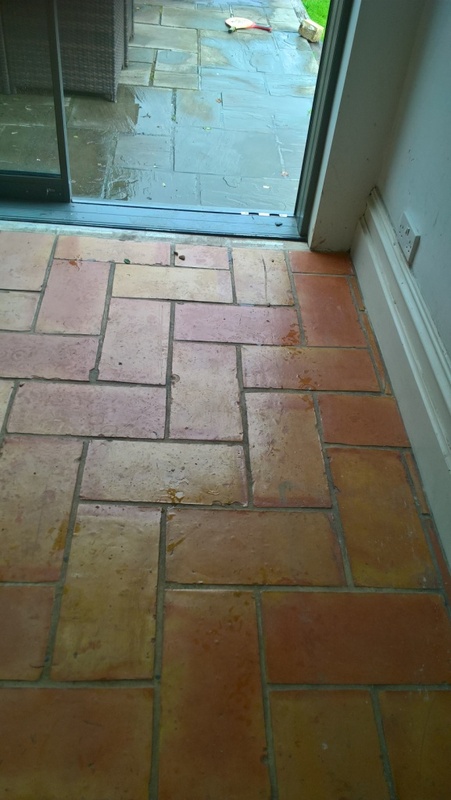 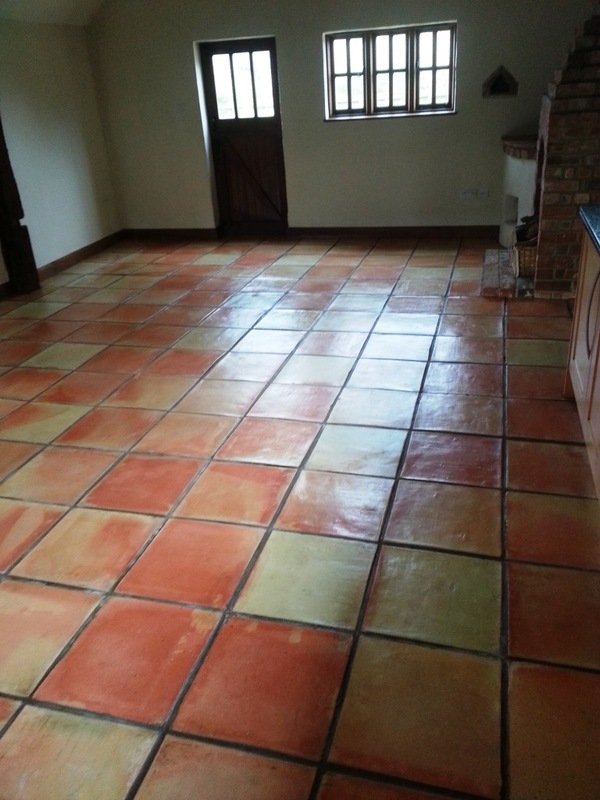 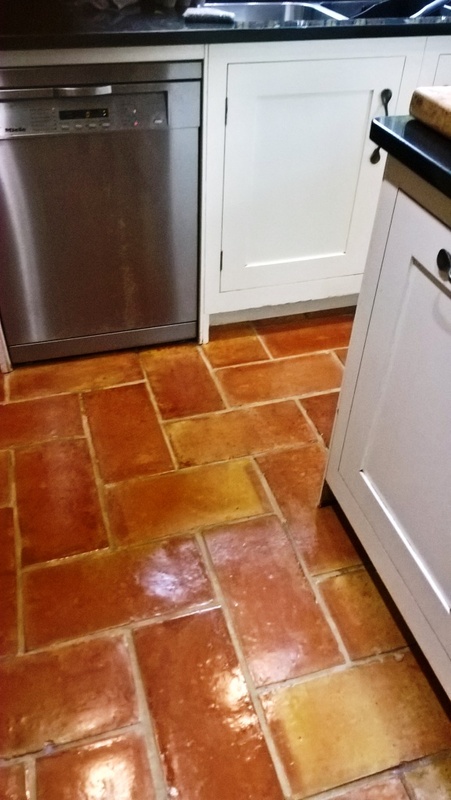 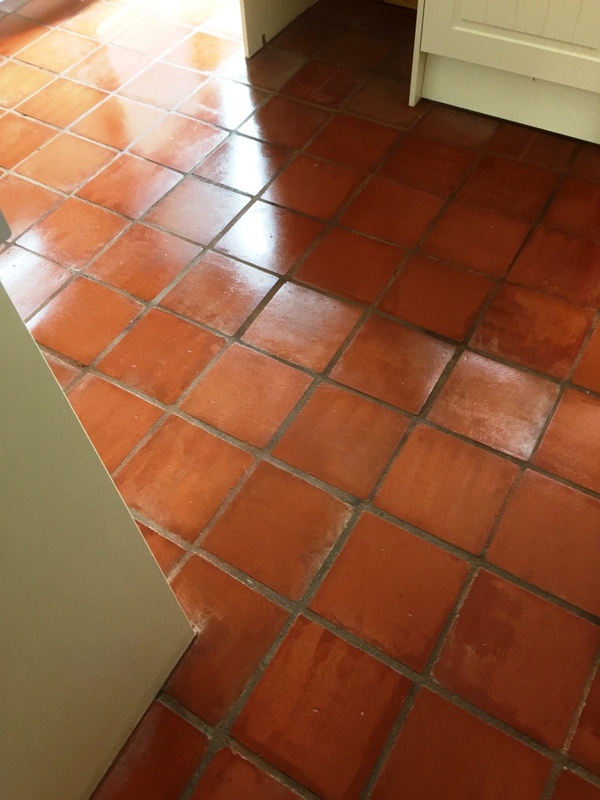 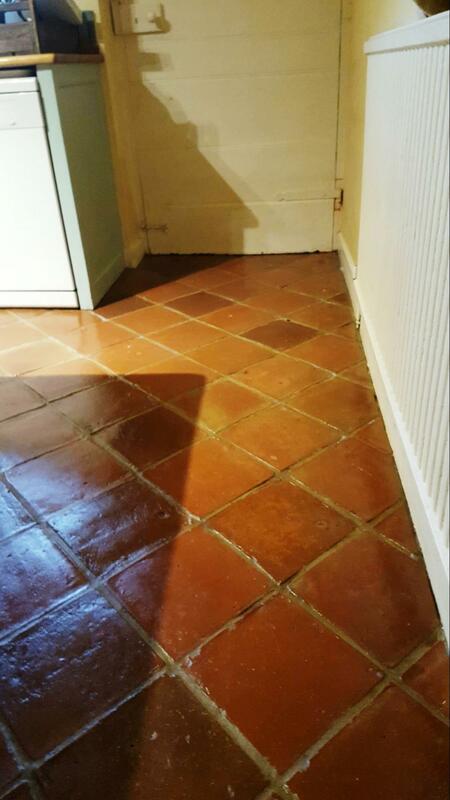 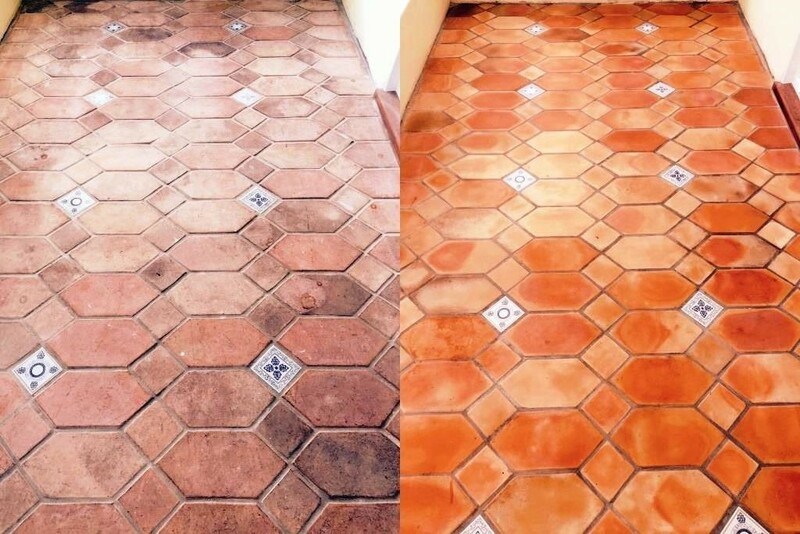 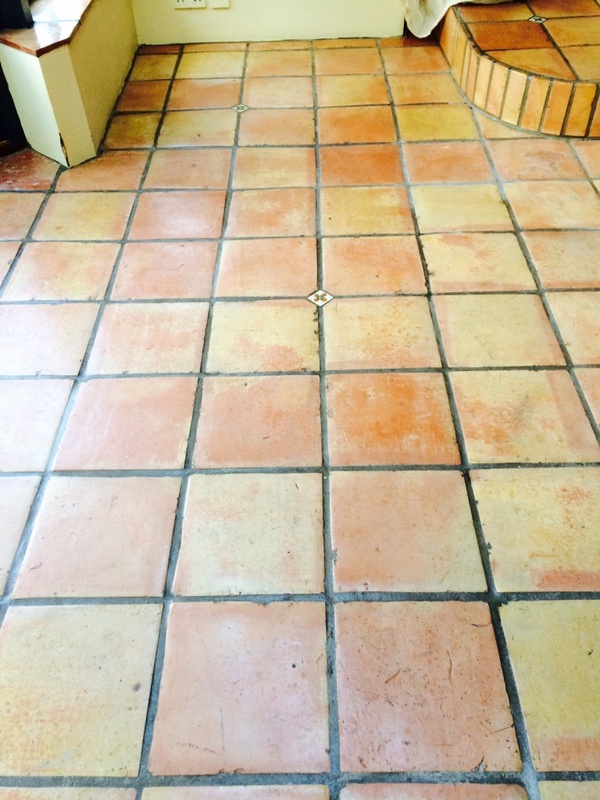 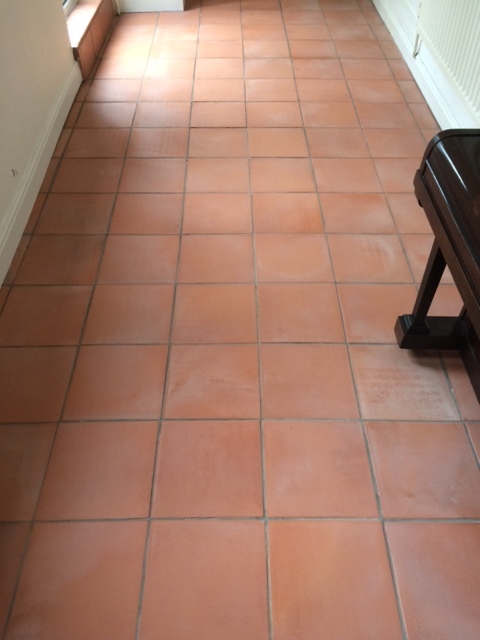 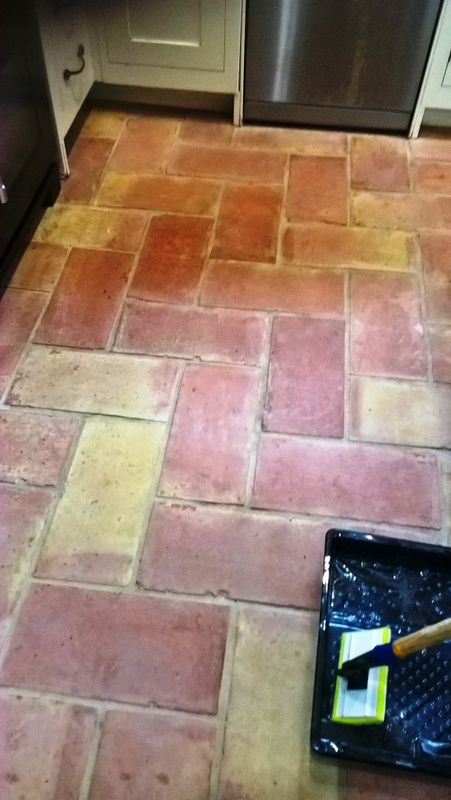 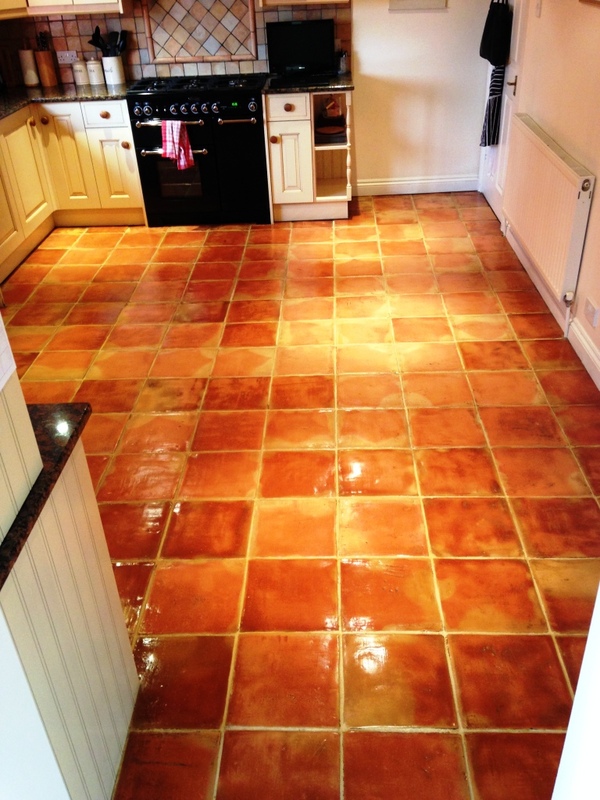 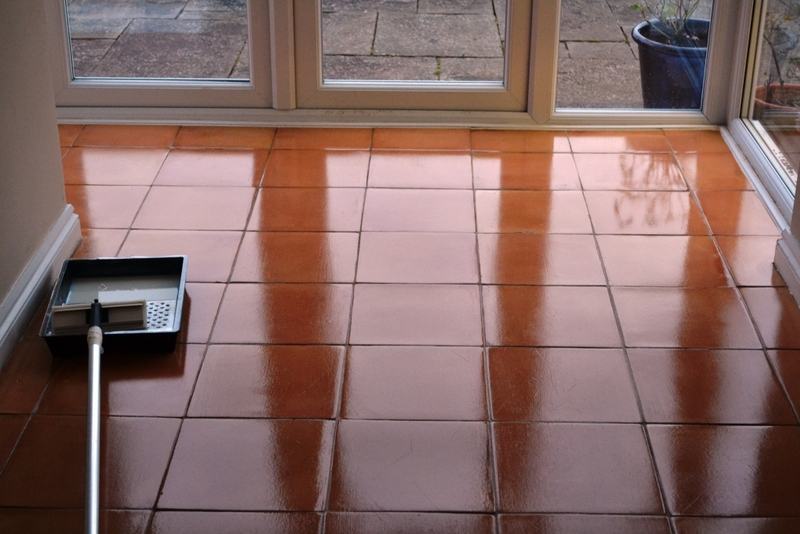 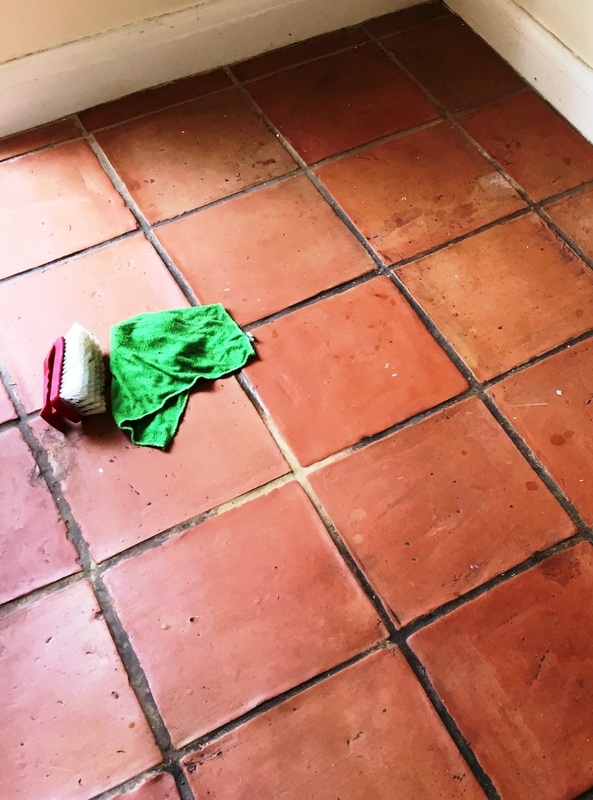 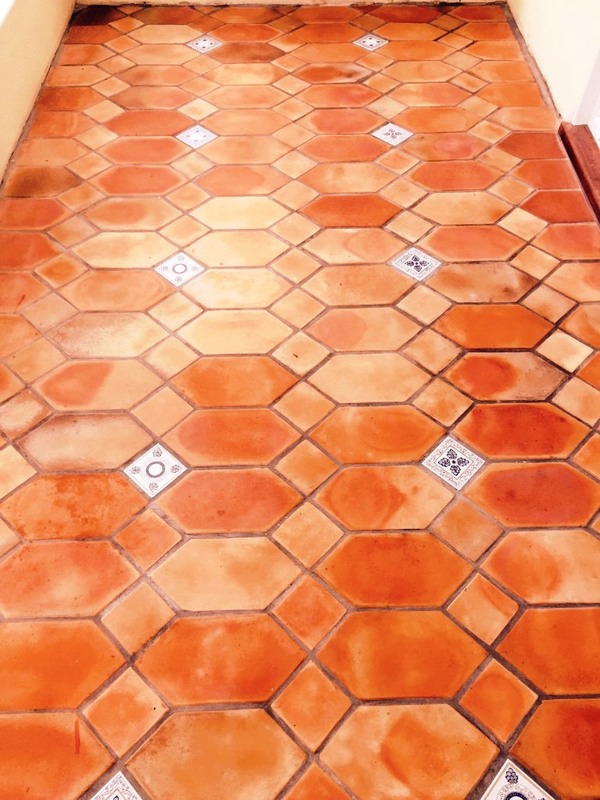 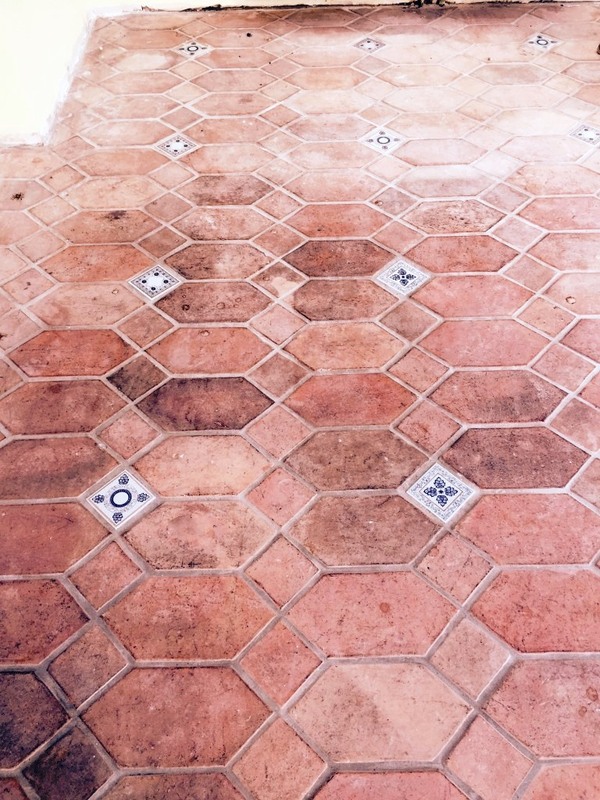 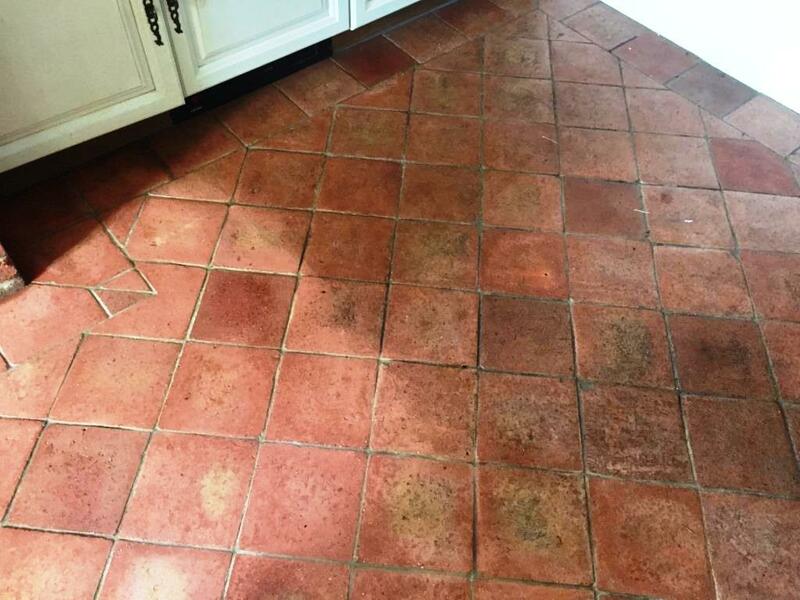 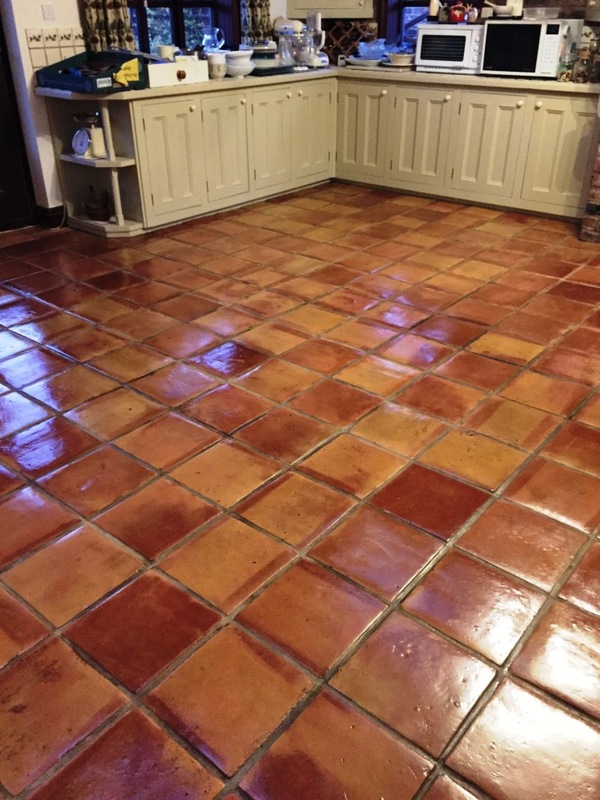 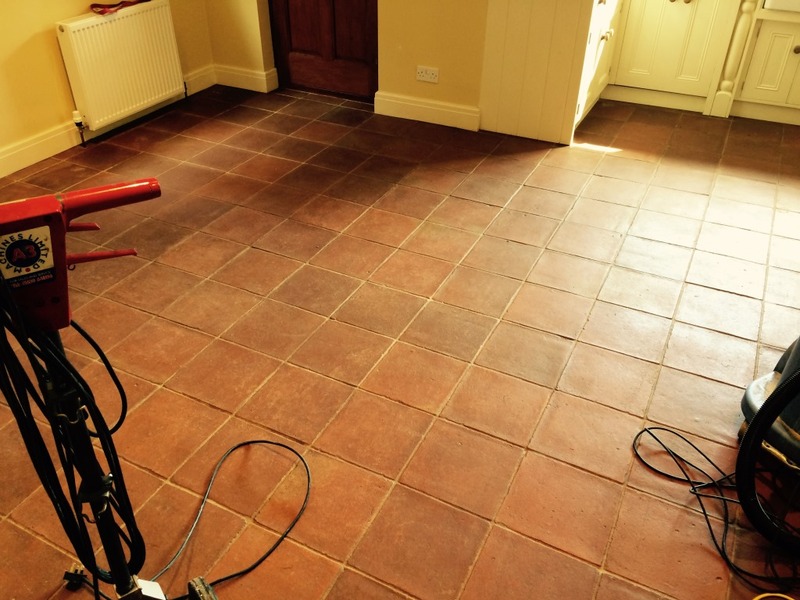 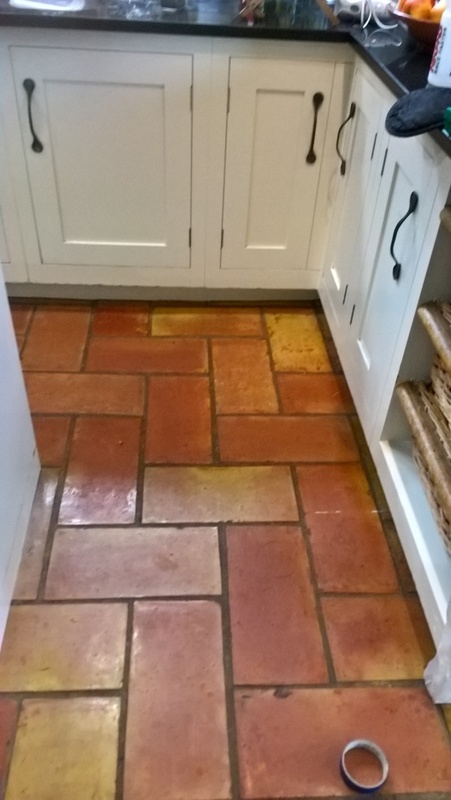 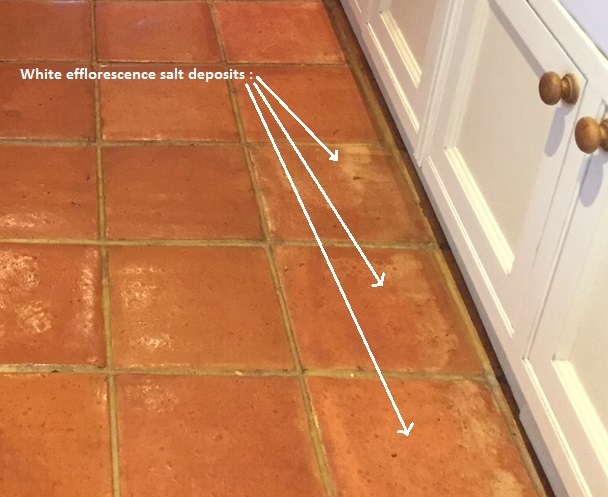 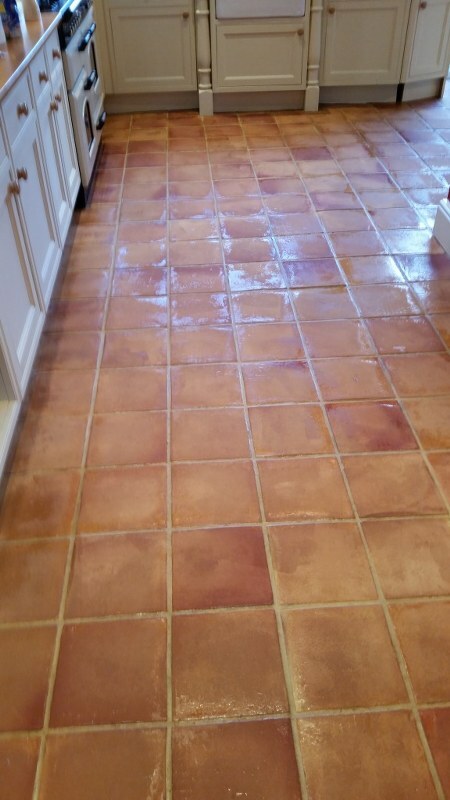 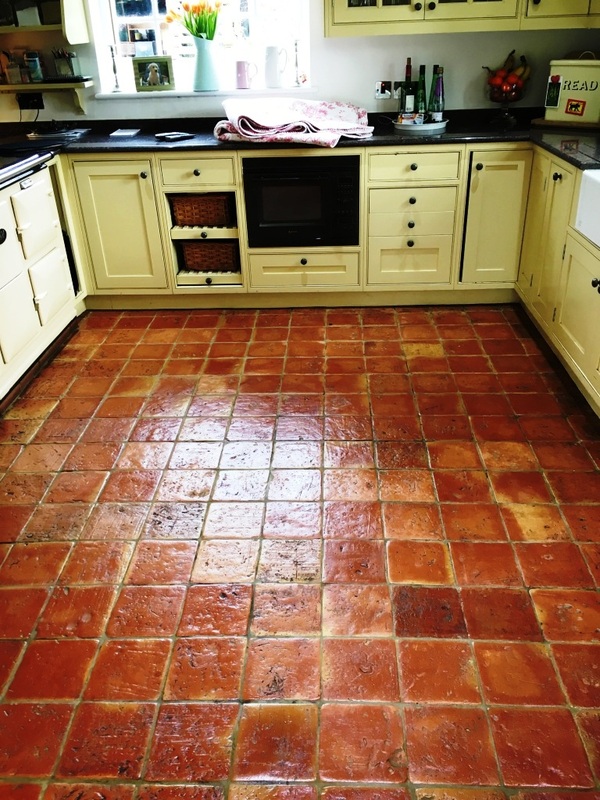 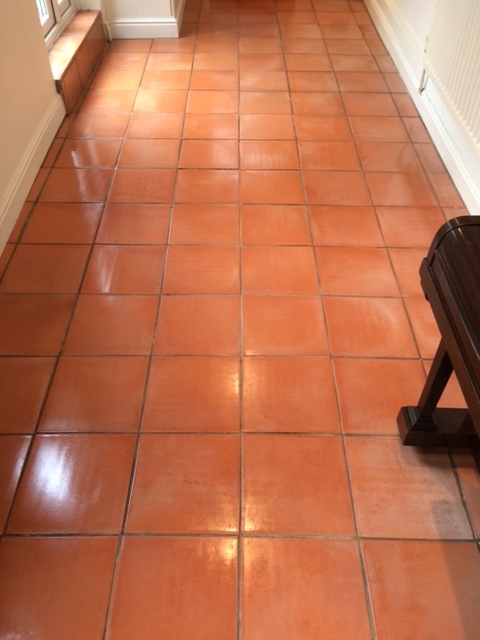 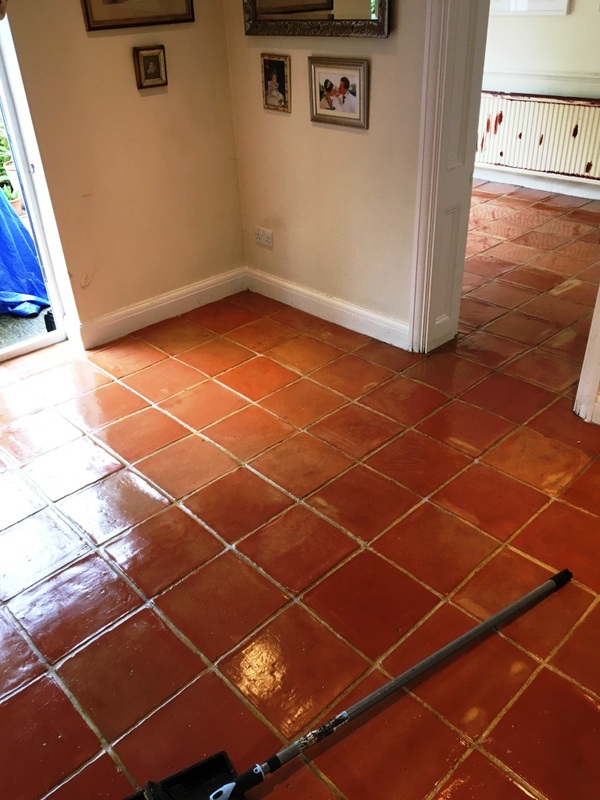 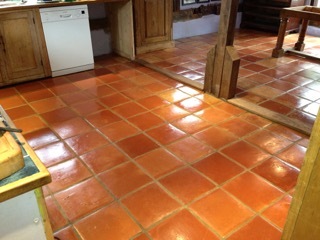 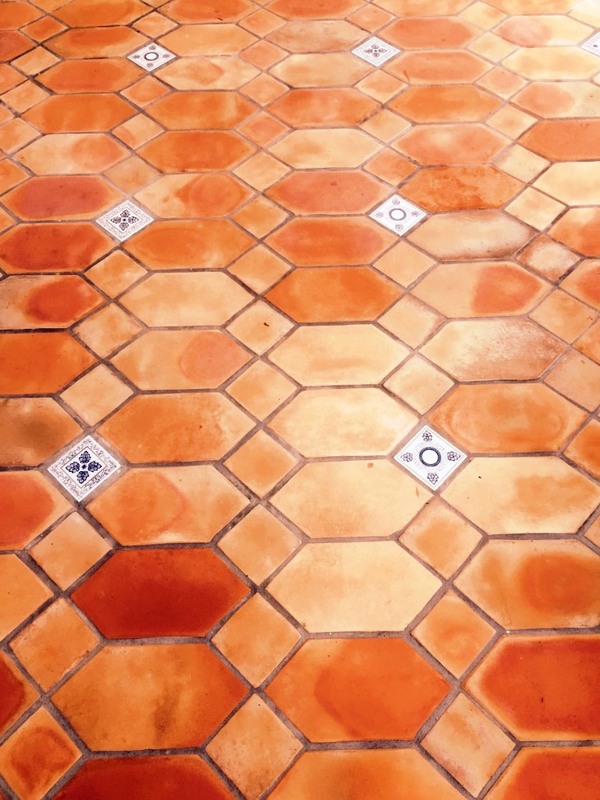 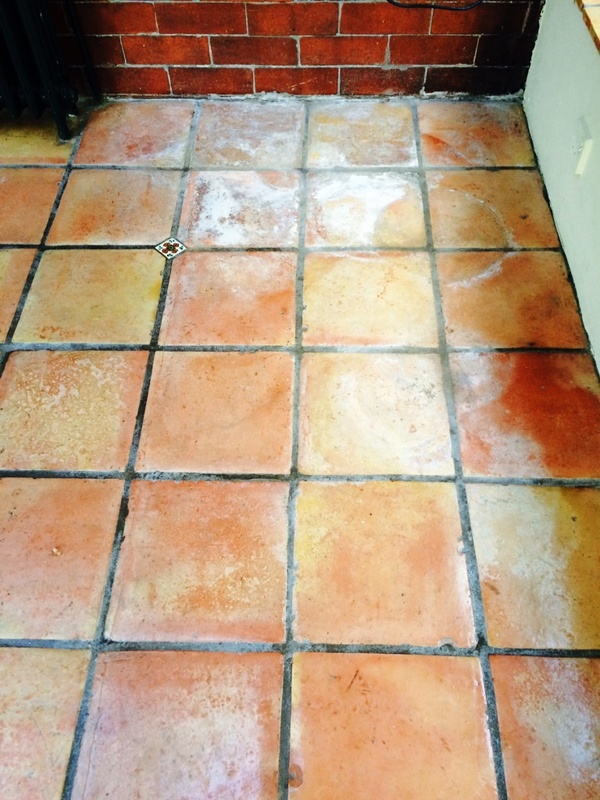 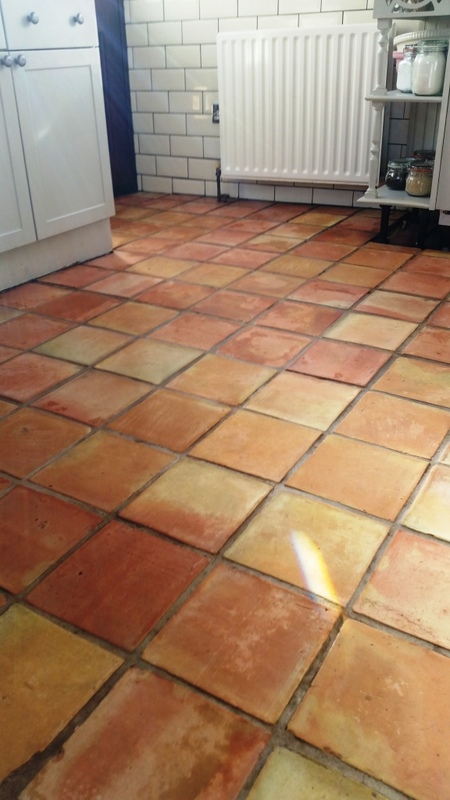 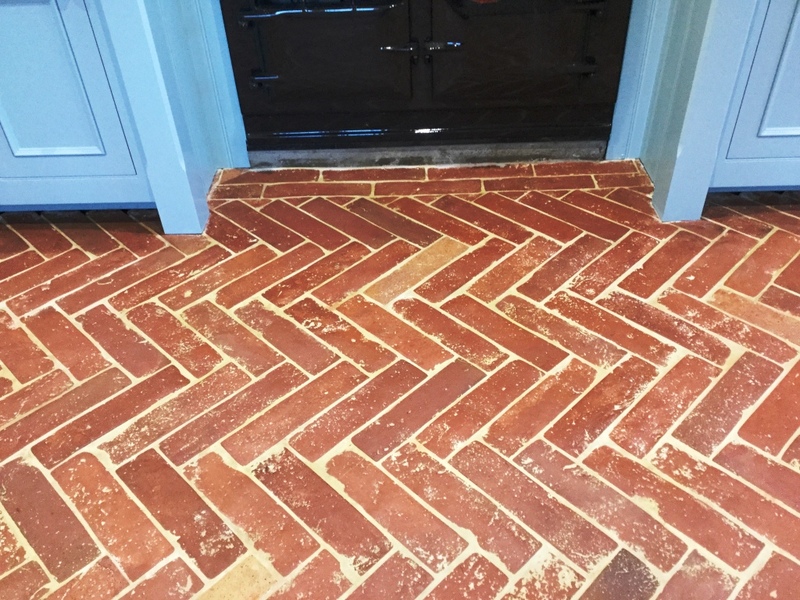 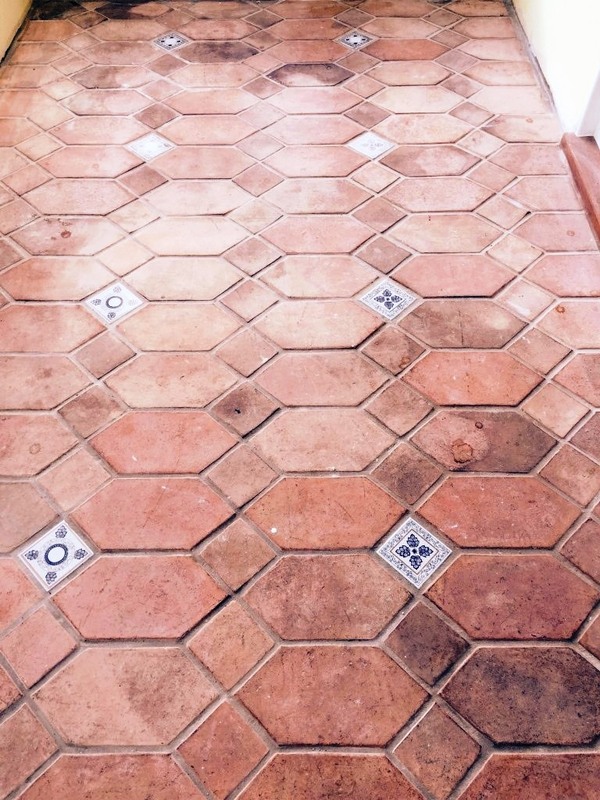 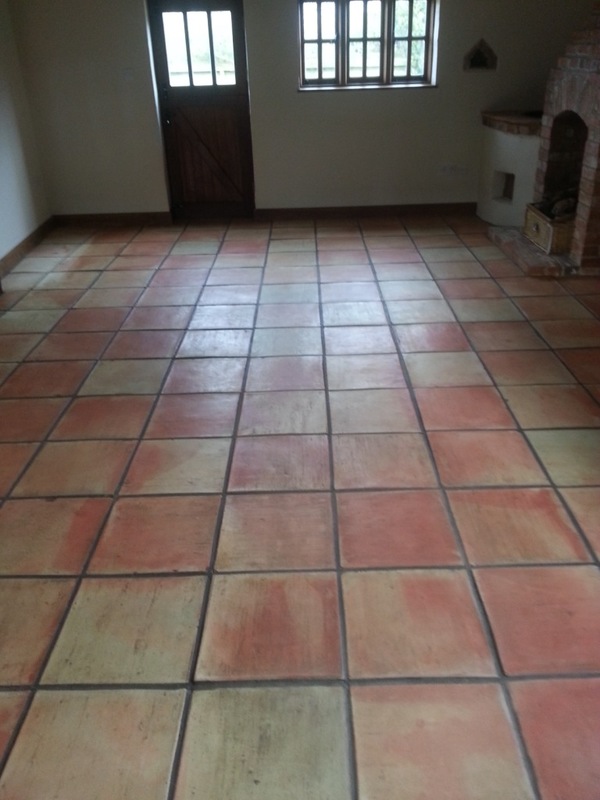 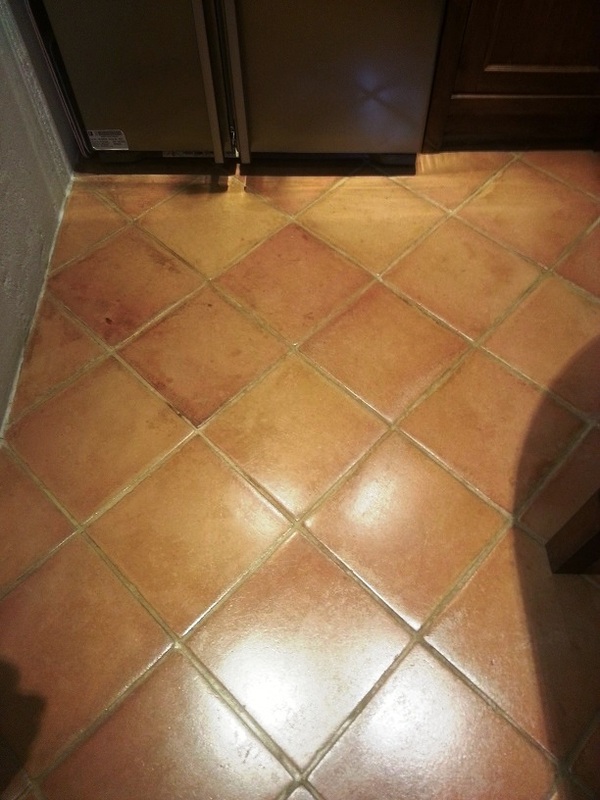 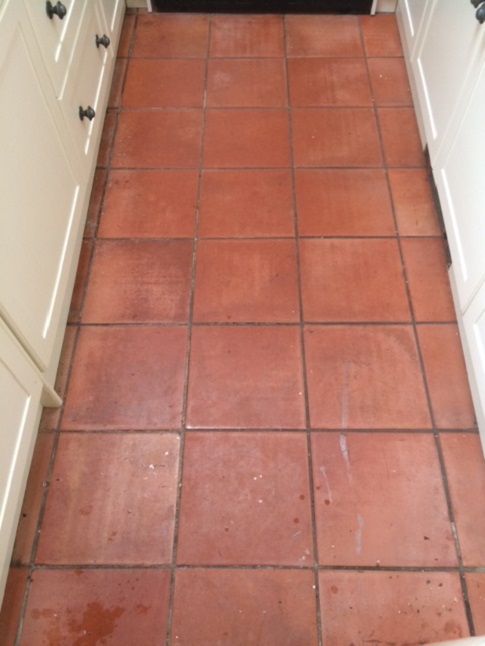 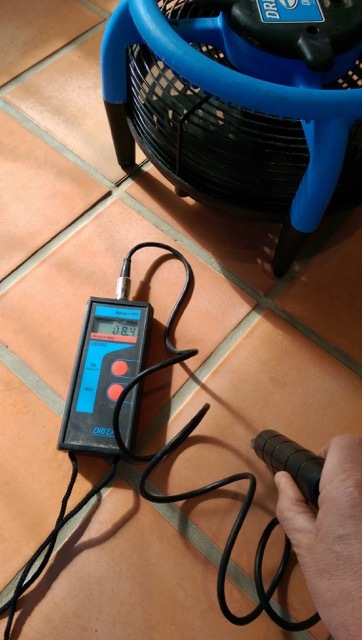 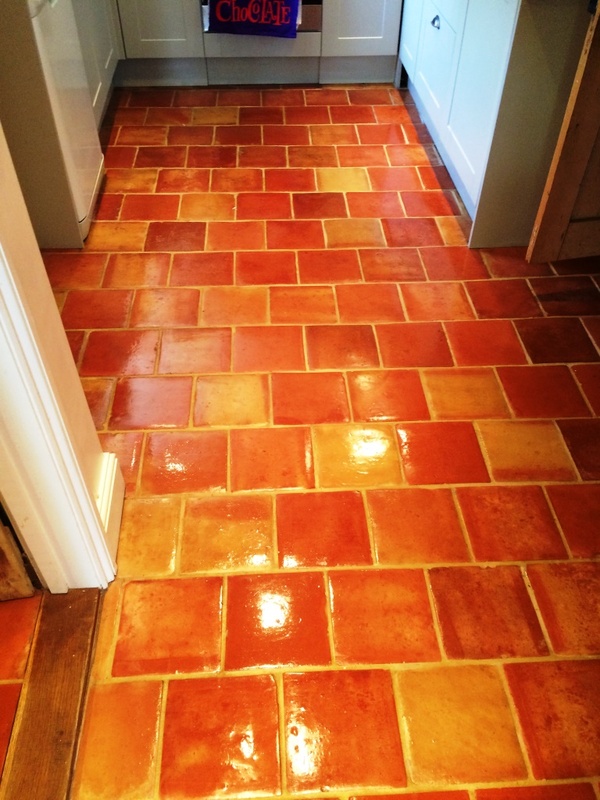 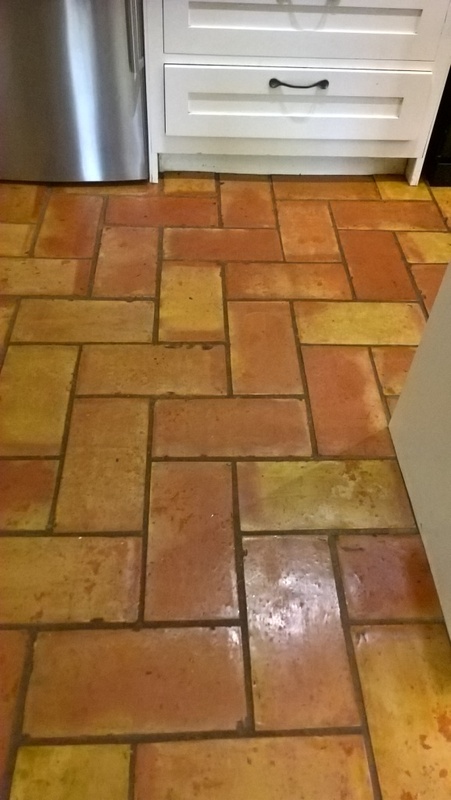 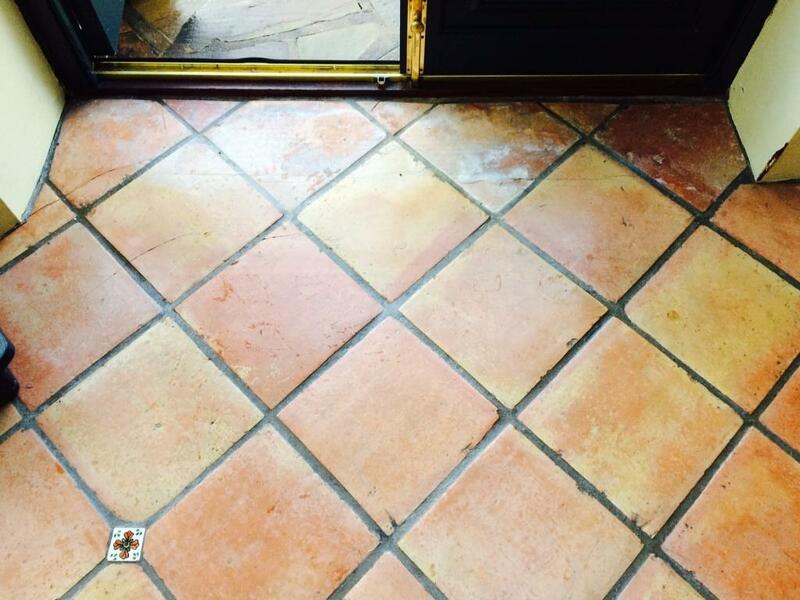 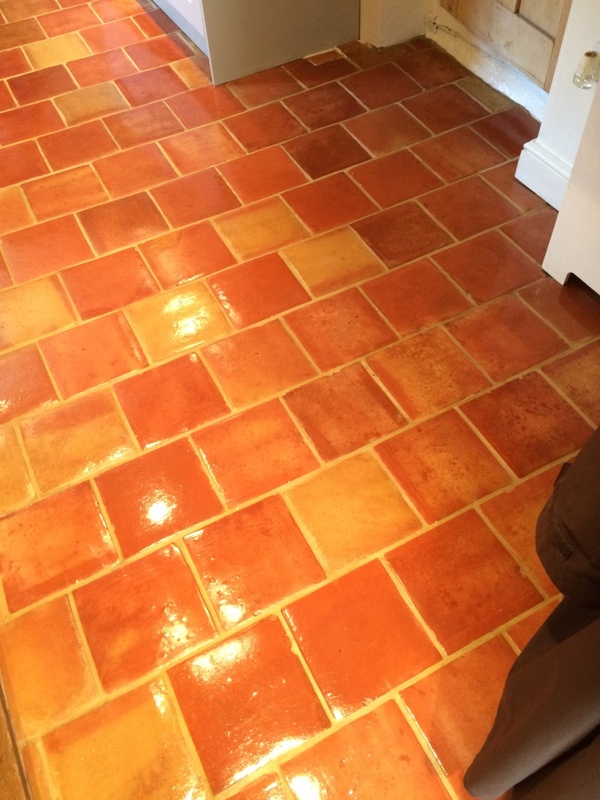 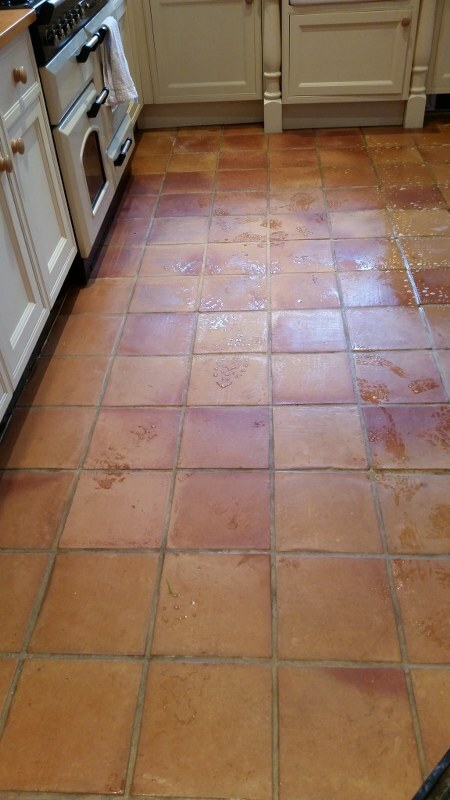 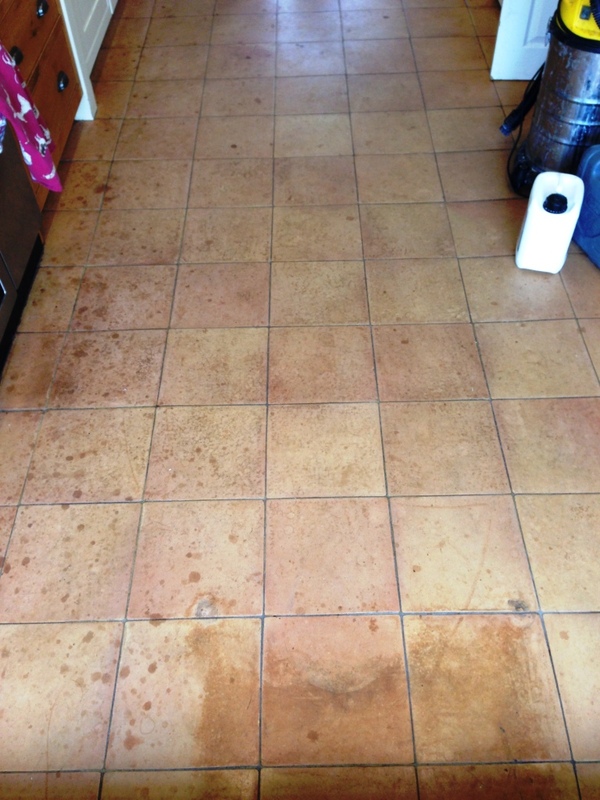 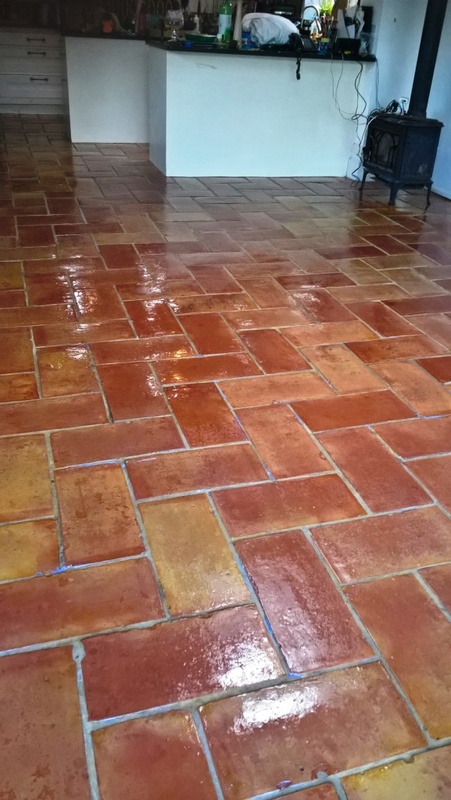 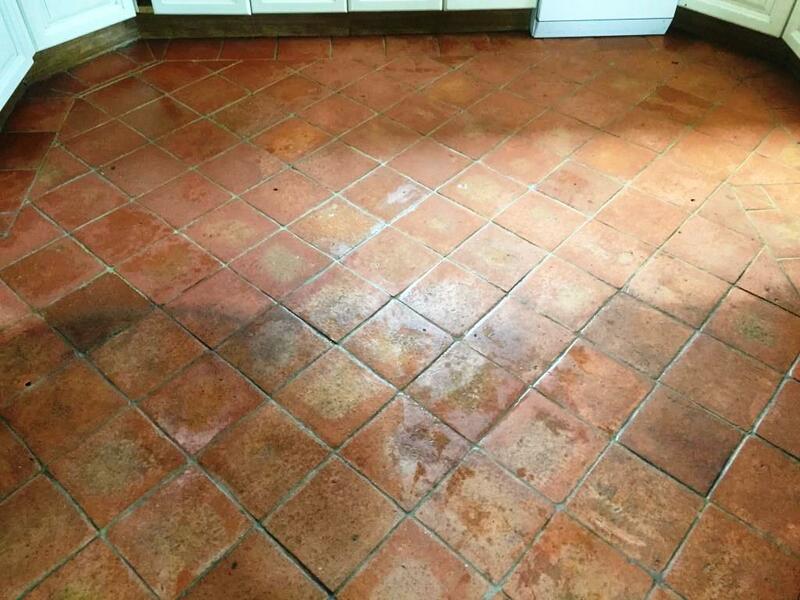 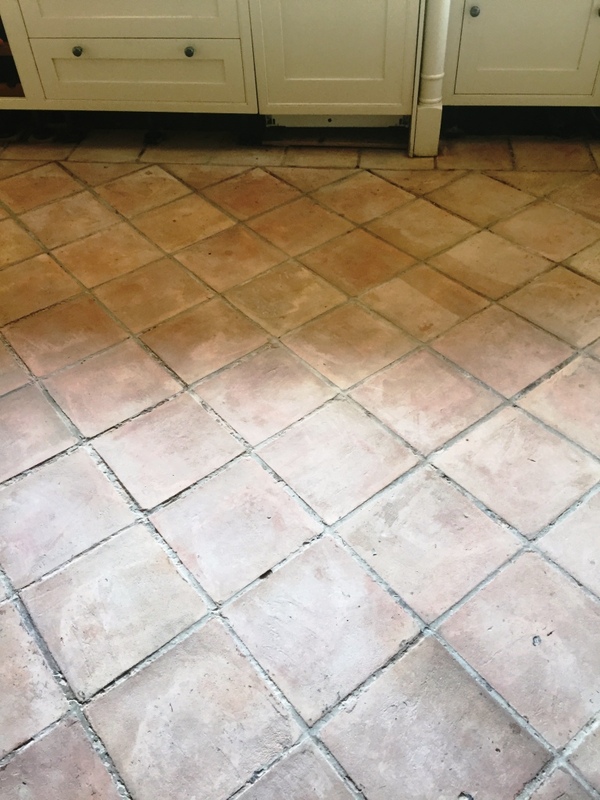 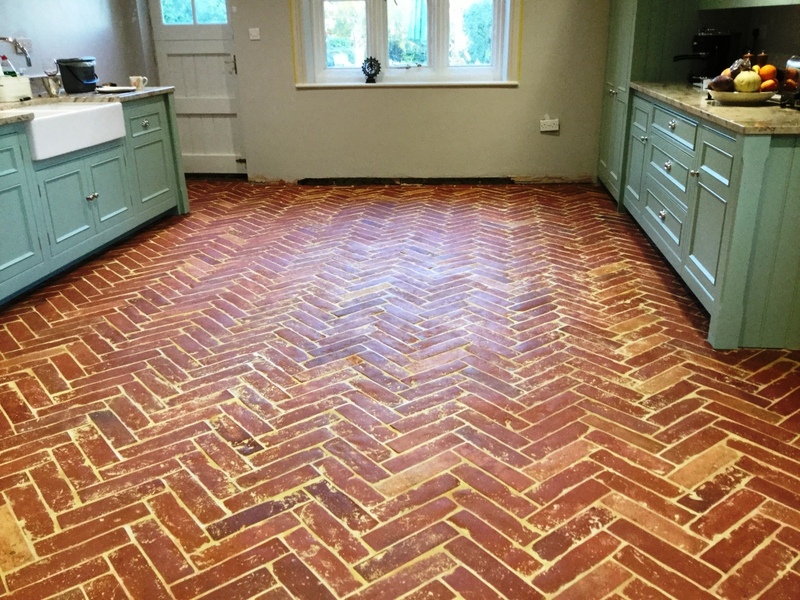 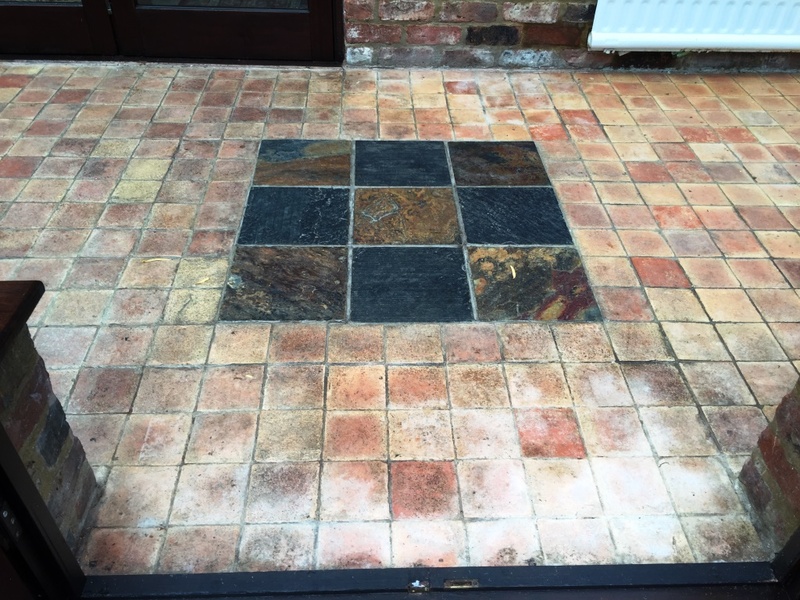 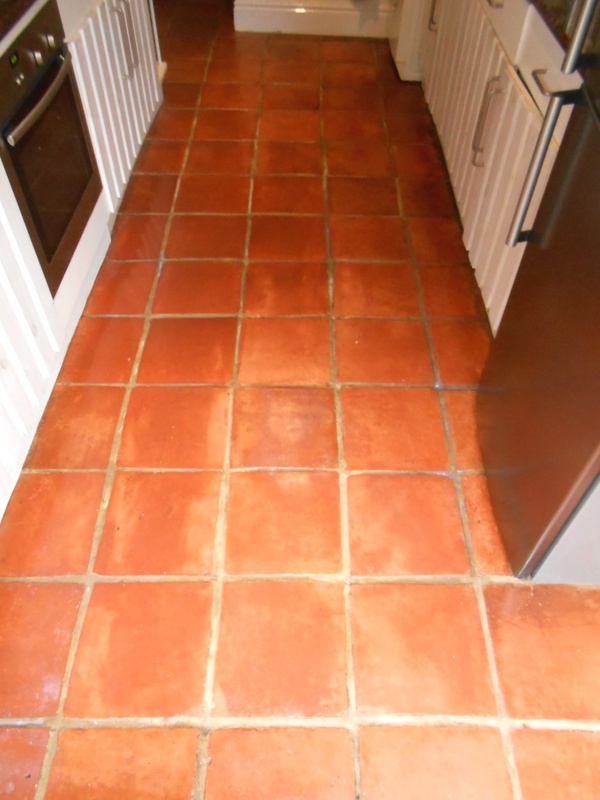 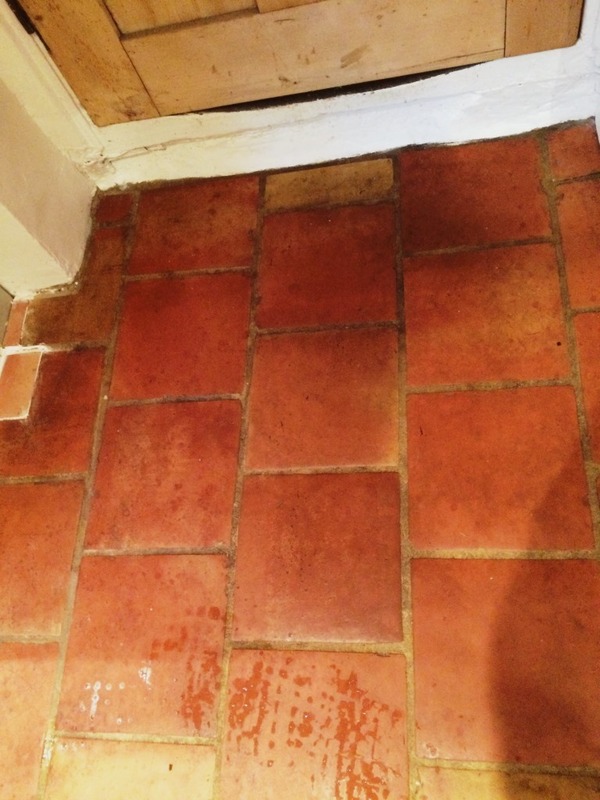 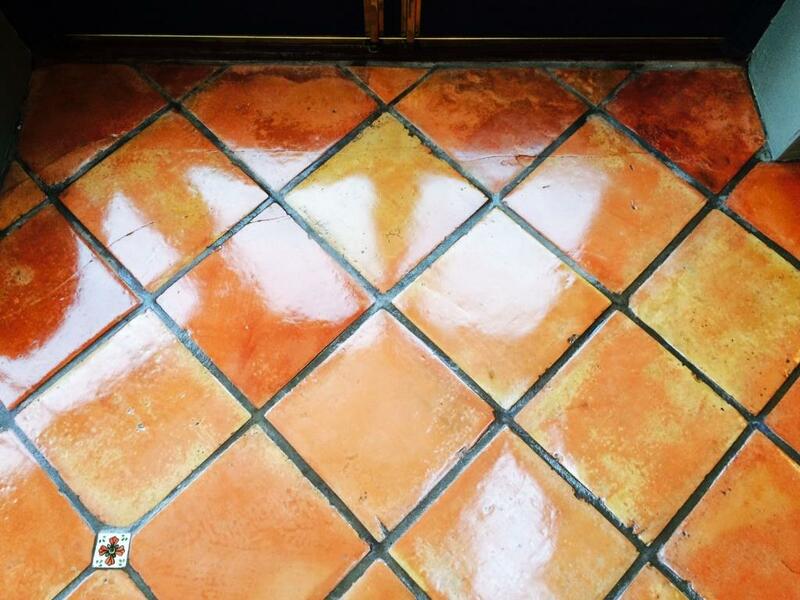 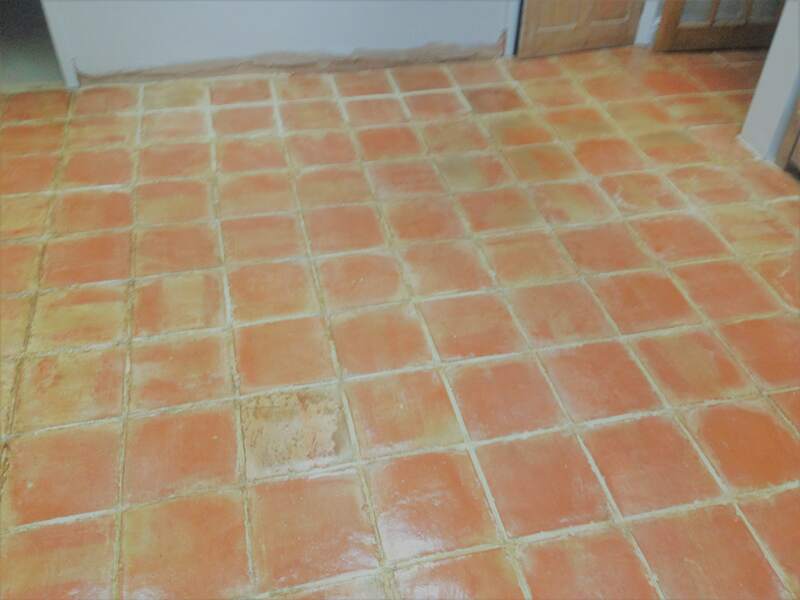 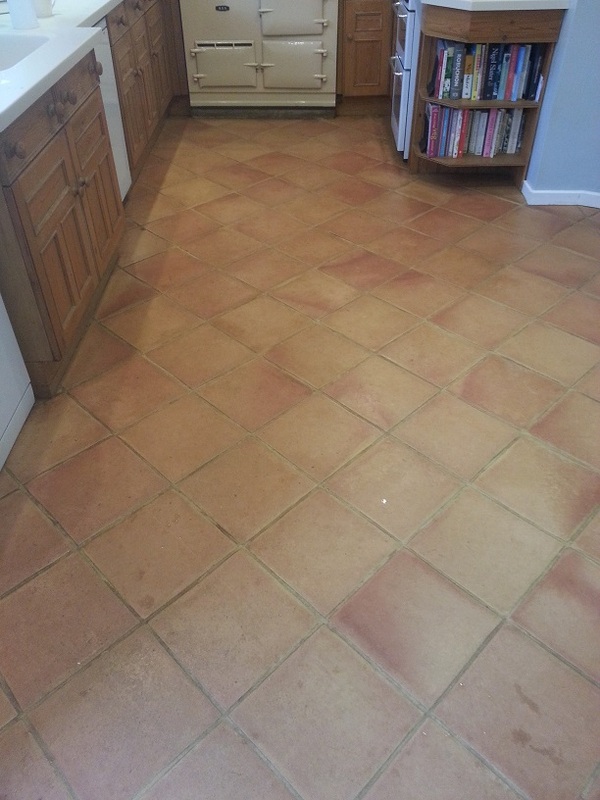 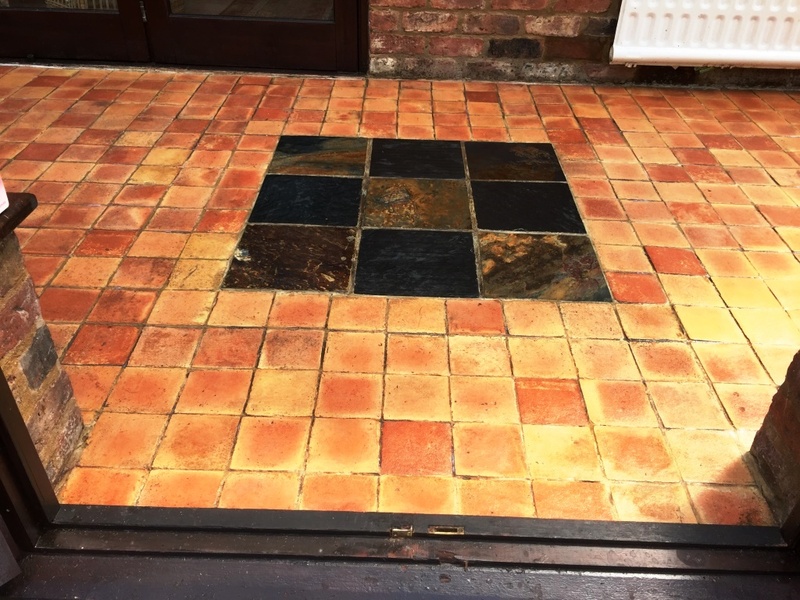 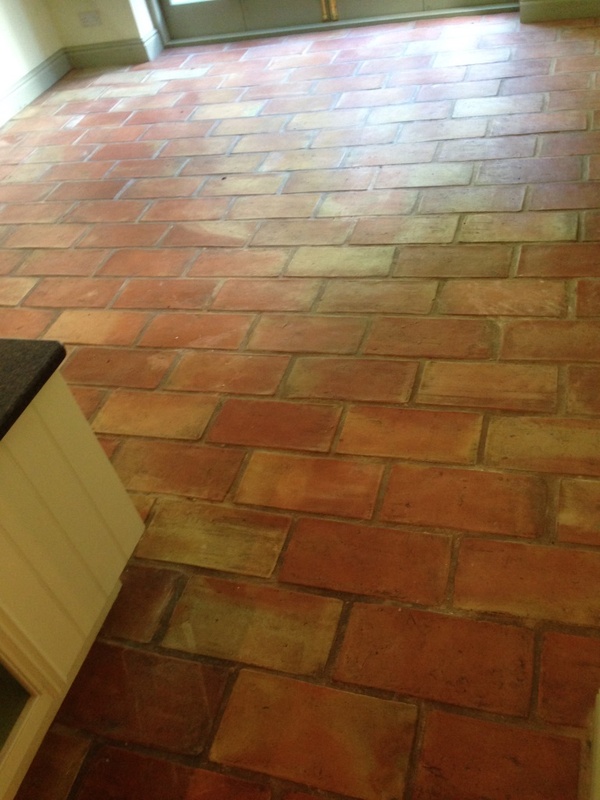 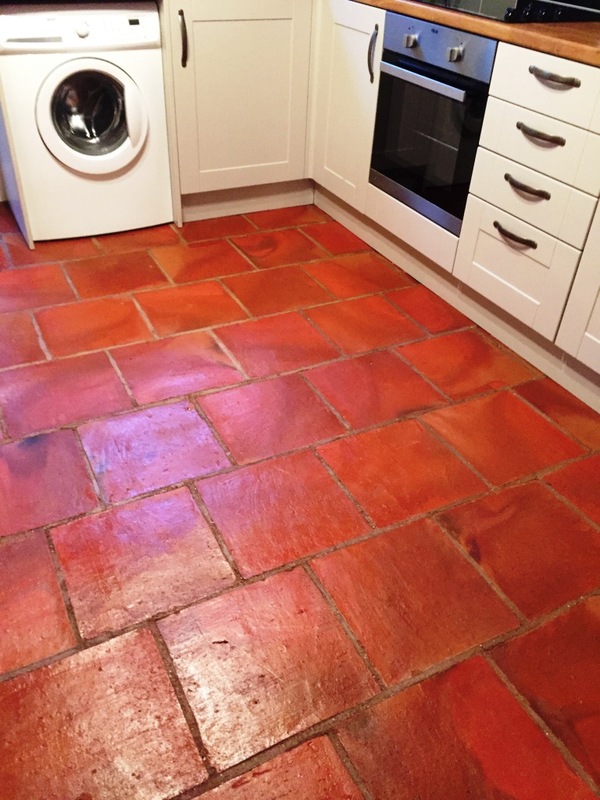 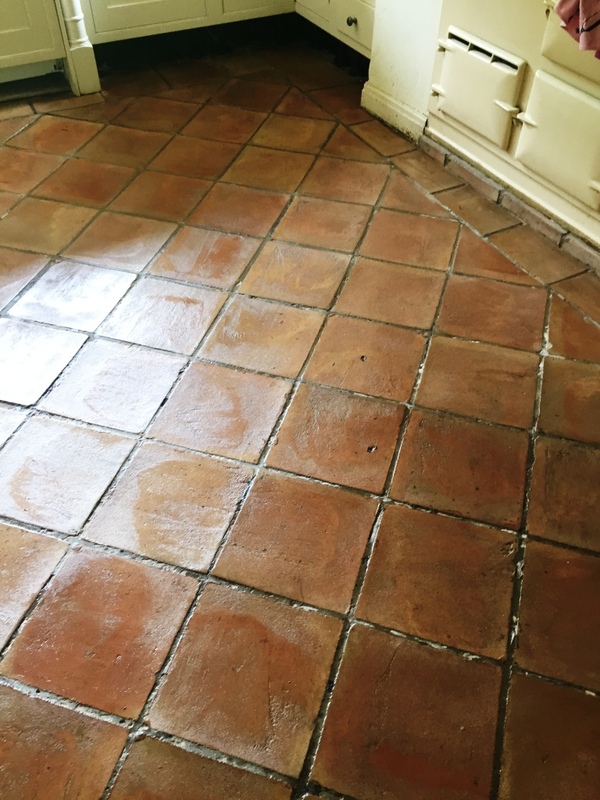 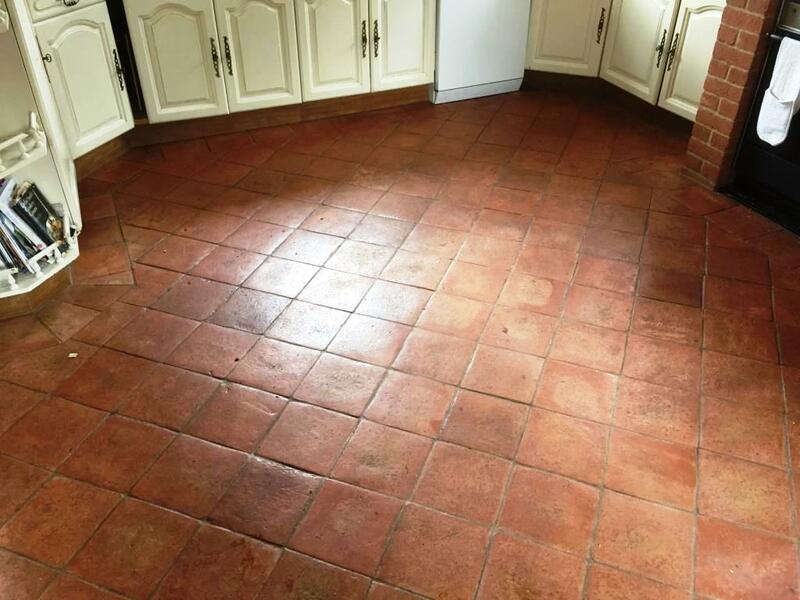 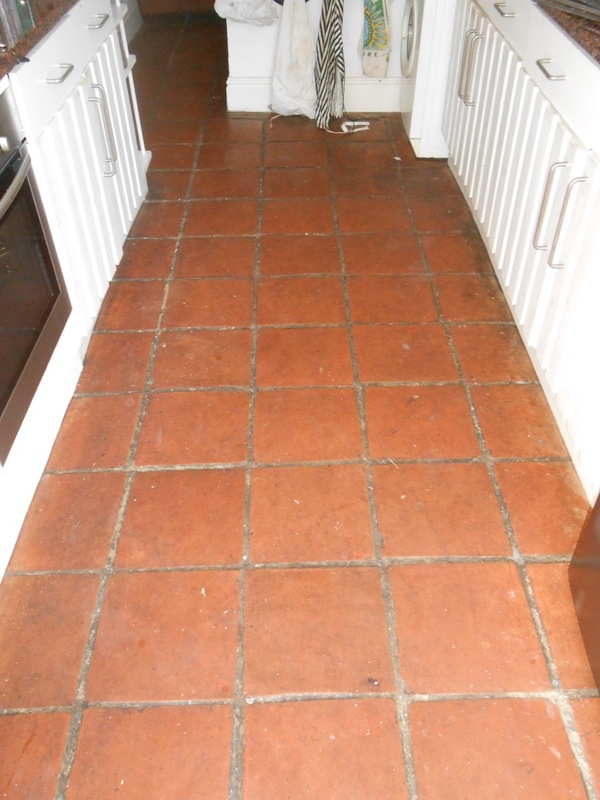 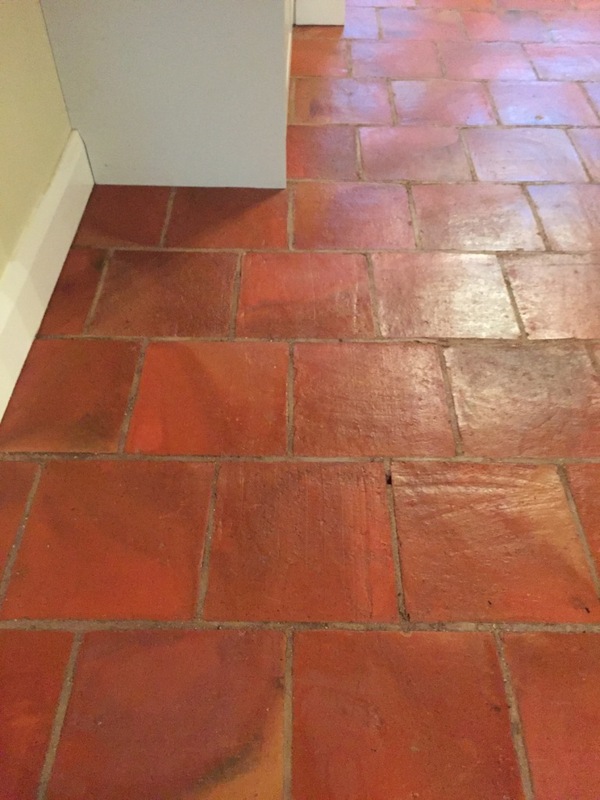 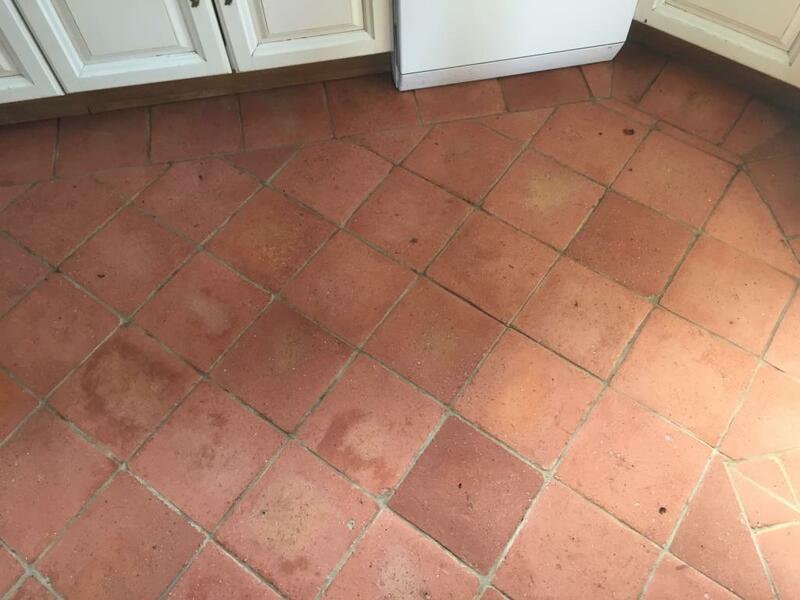 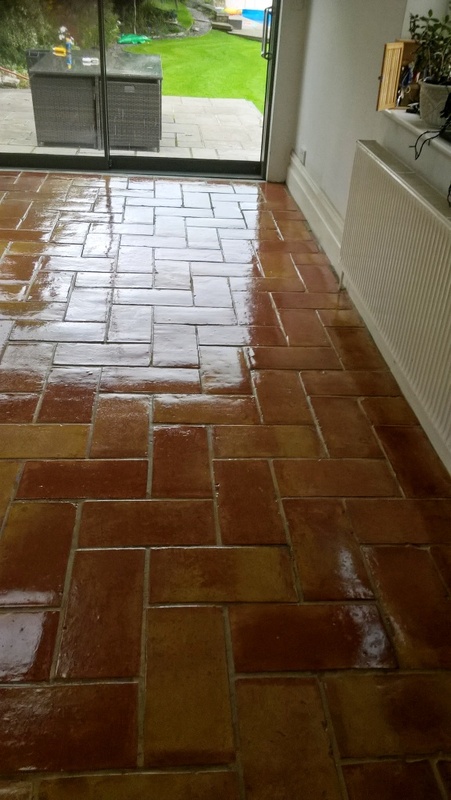 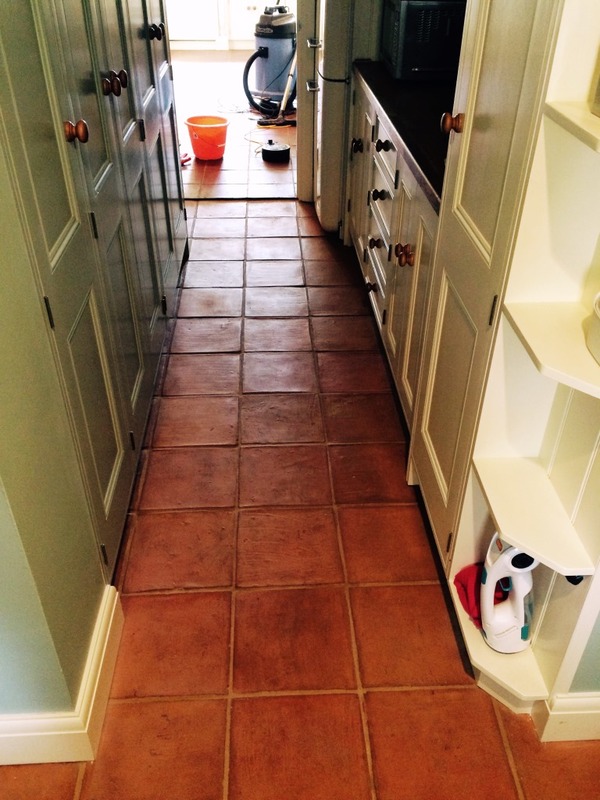 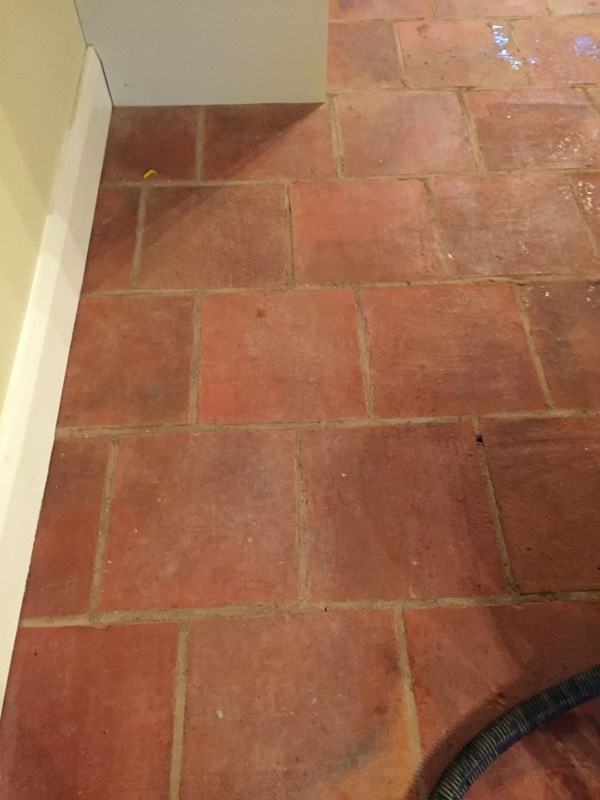 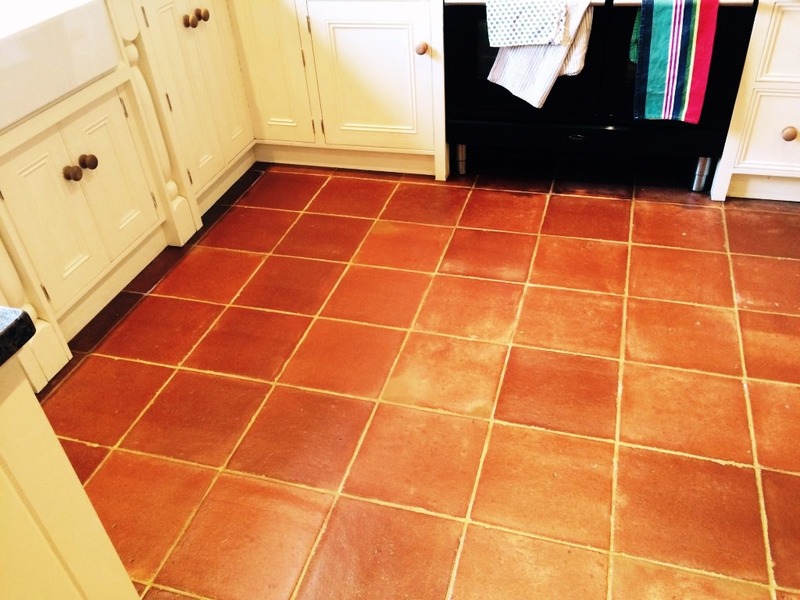 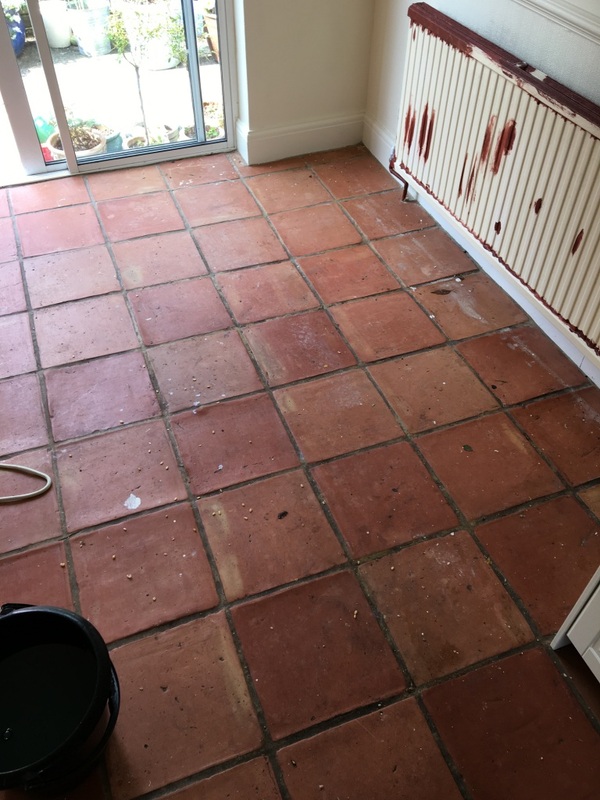 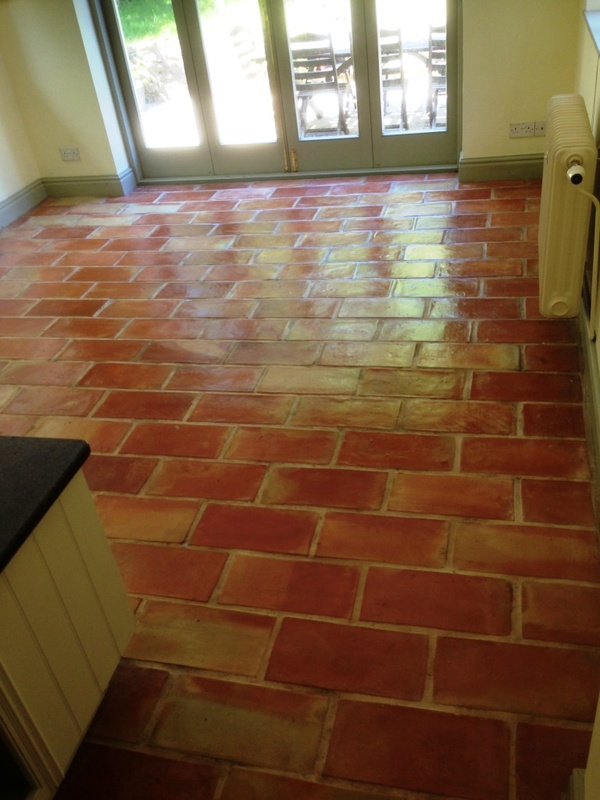 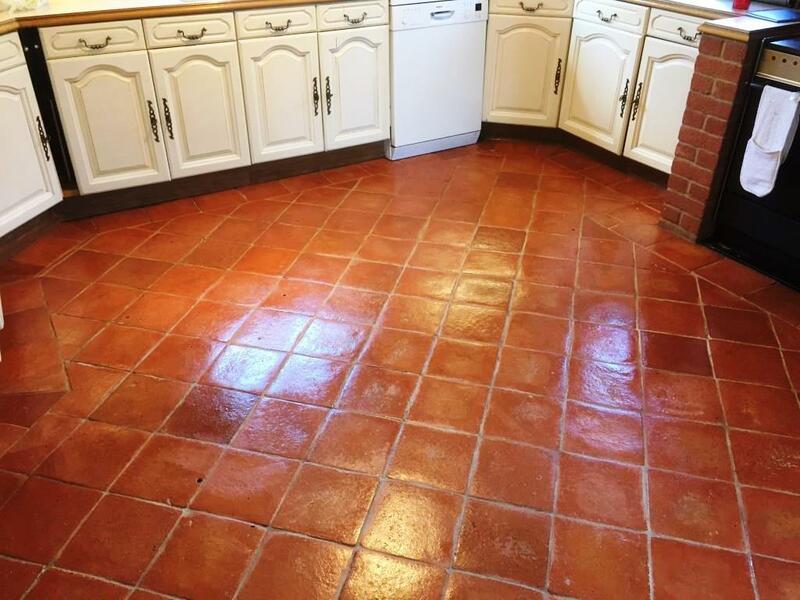 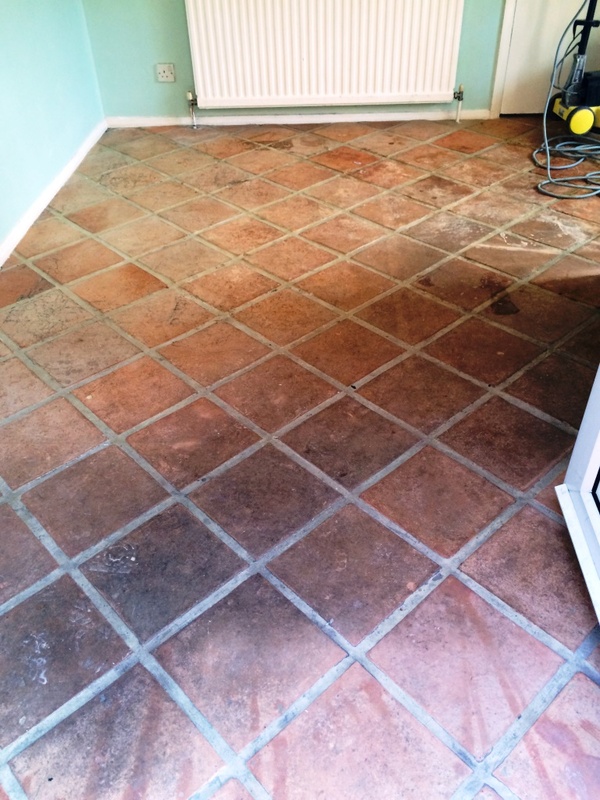 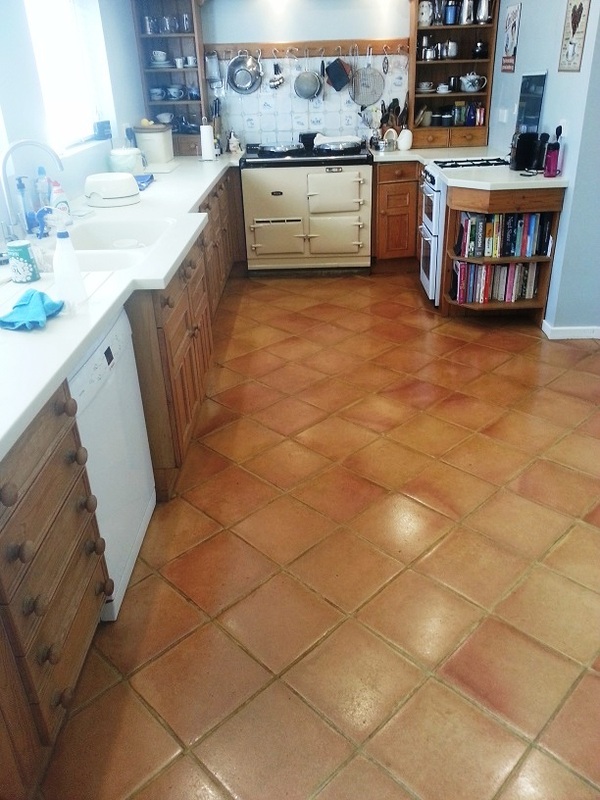 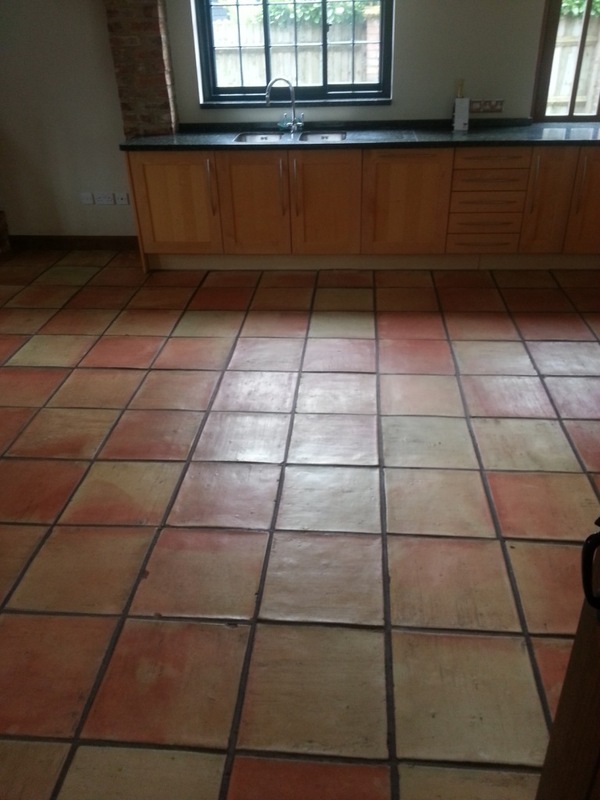 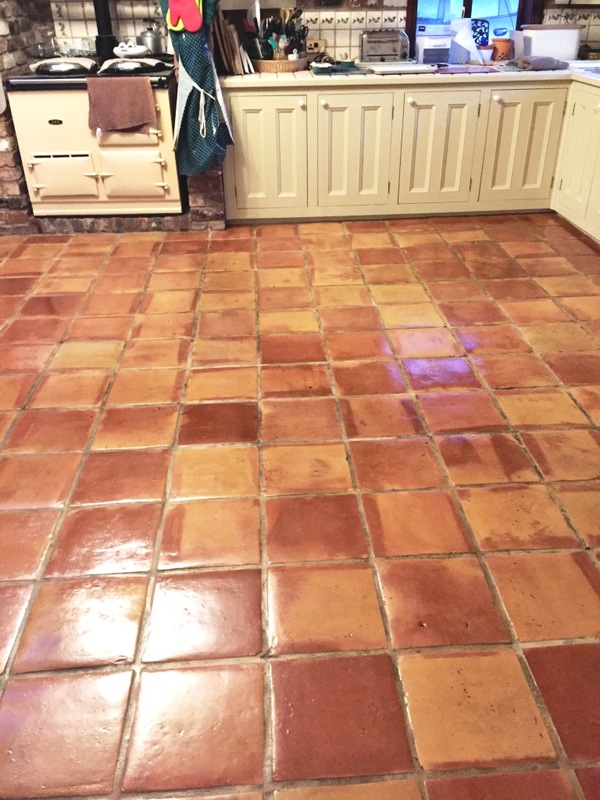 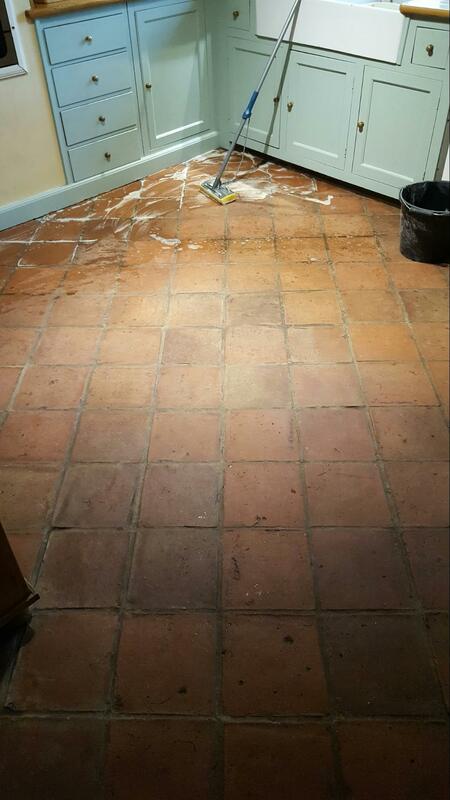 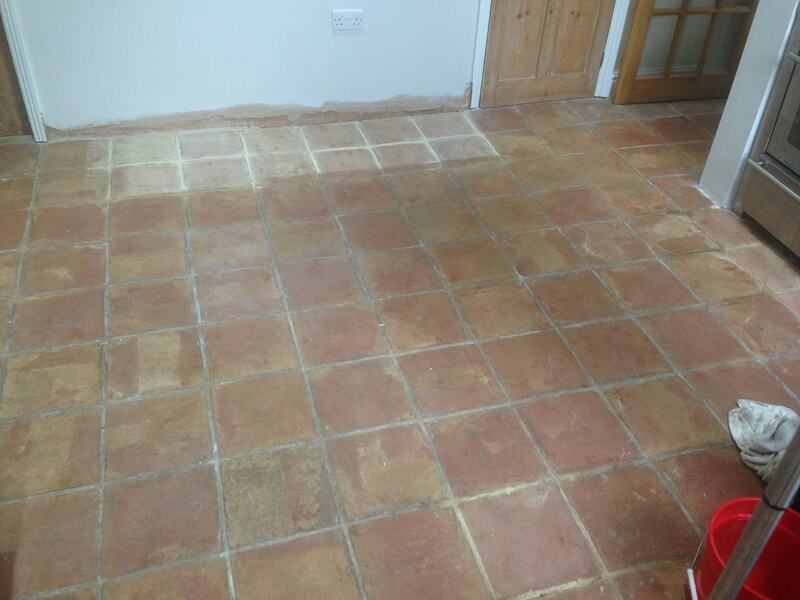 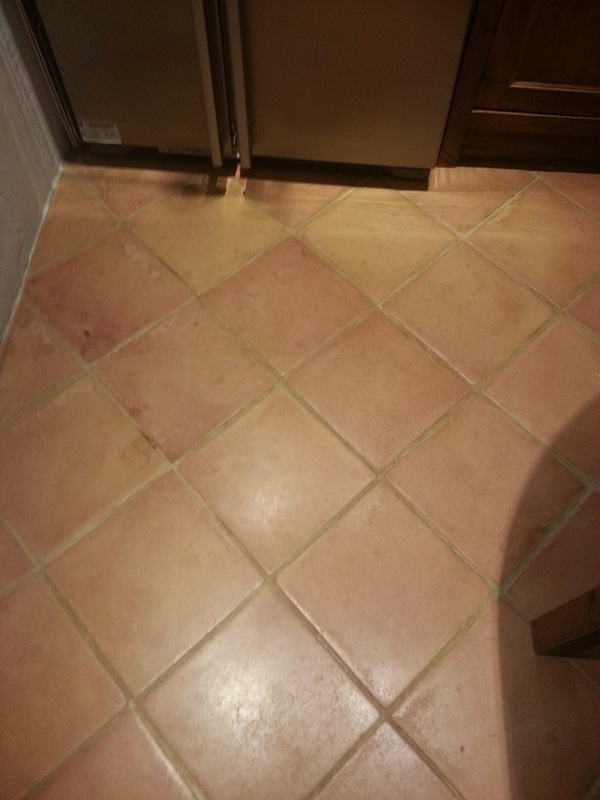 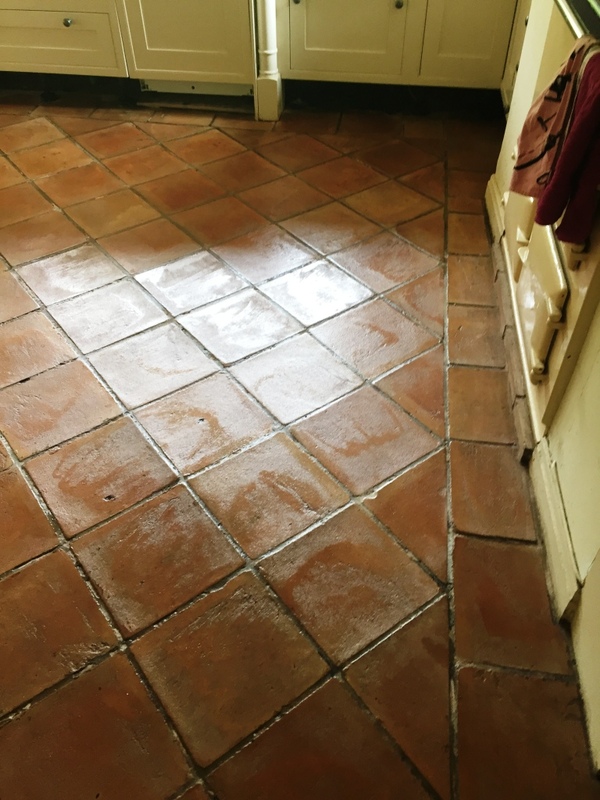 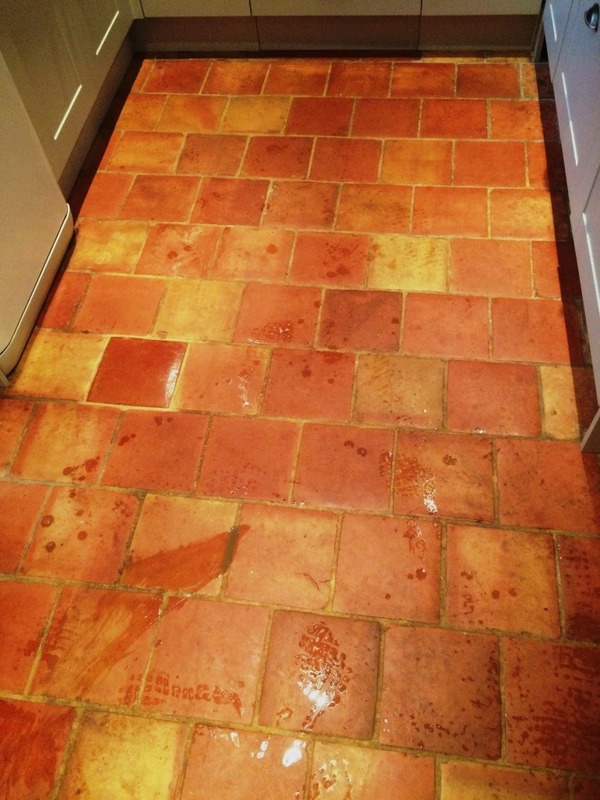 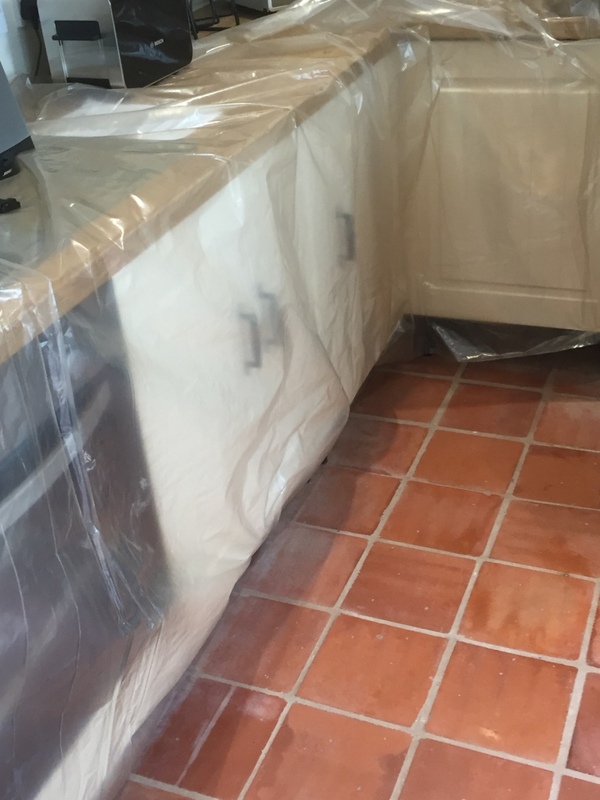 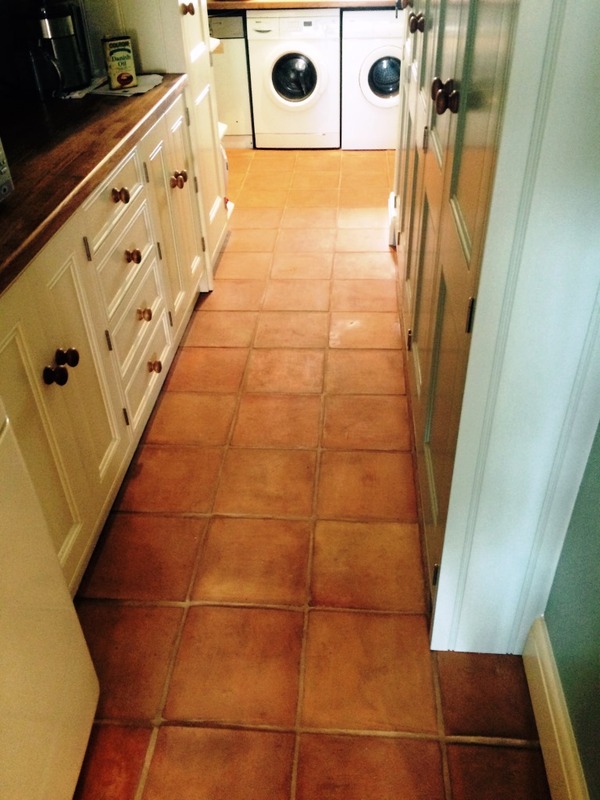 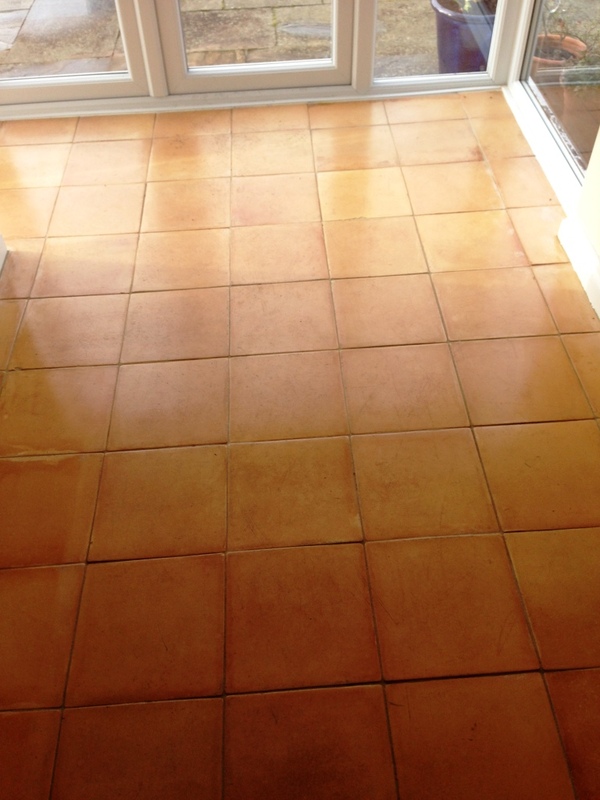 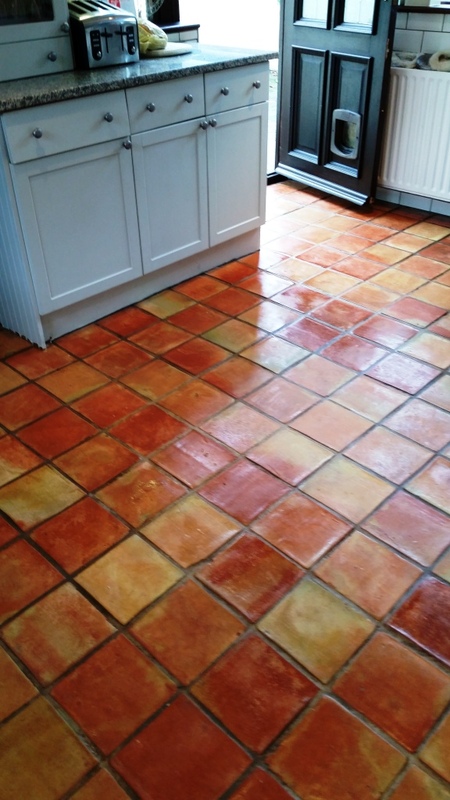 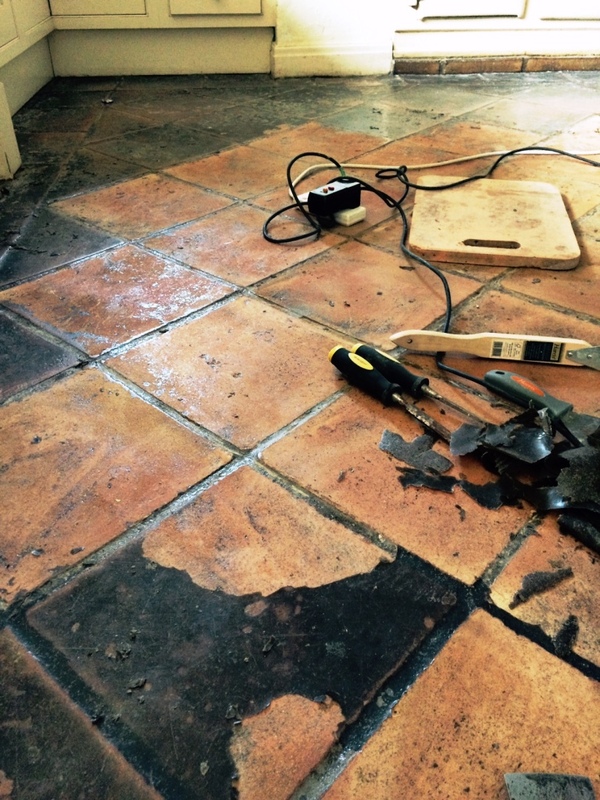 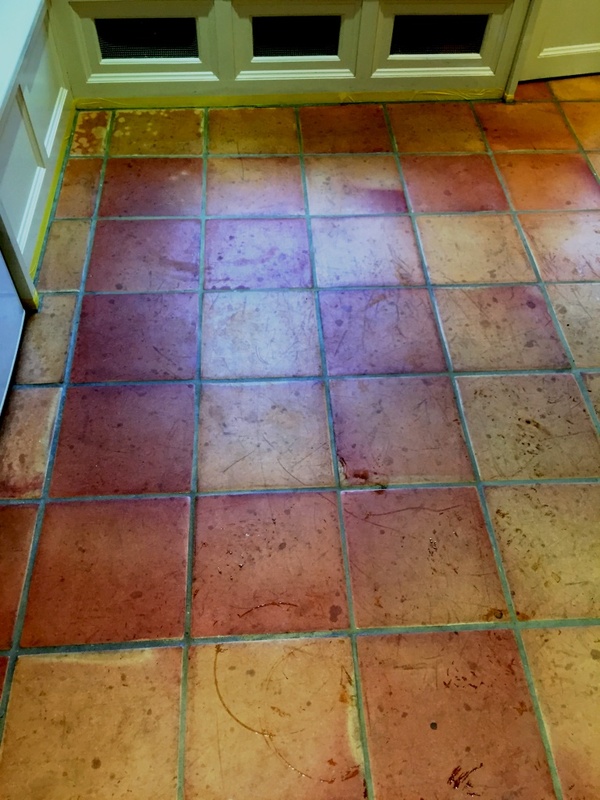 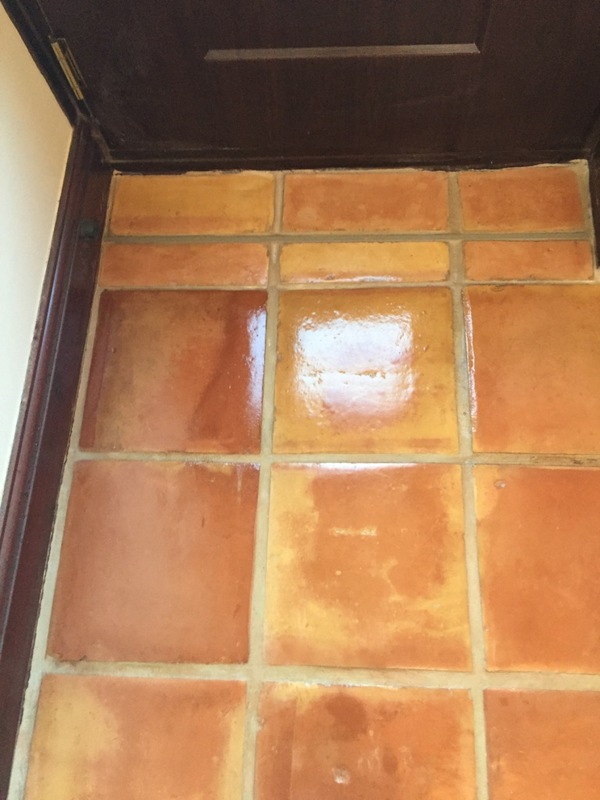 My client had a Terracotta tiled floor that was in dire need of a complete refresh in the form of a thorough clean and seal. 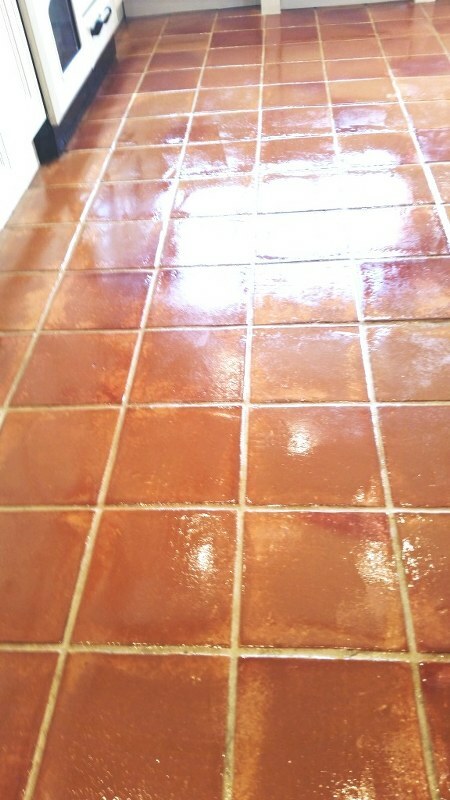 You might not be aware of this but the word ‘Terracotta’ actually means ‘burned earth’, owing to the stone’s fantastic natural orange-auburn colours. 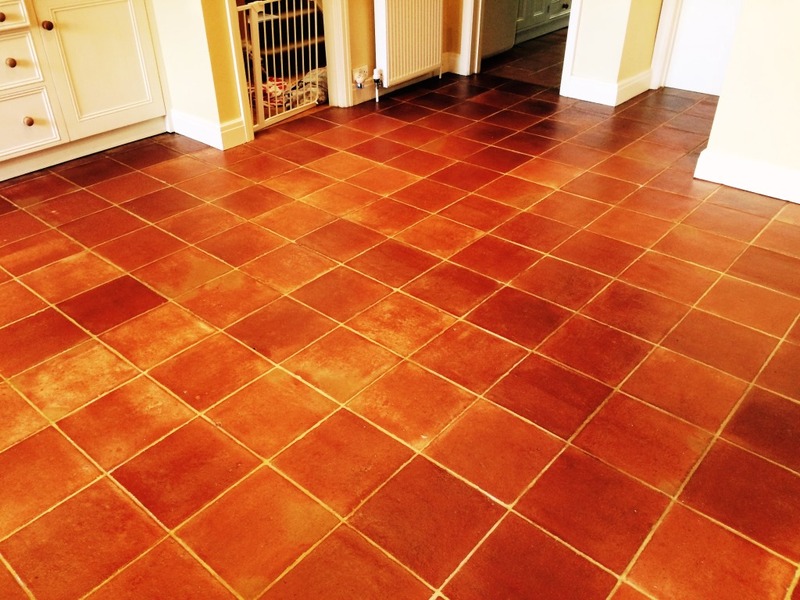 A strong, durable material,it has been in use for residential uses for over two thousand years; the ancient Romans, for example, used Terracotta tiles to decorate their villas and palaces. 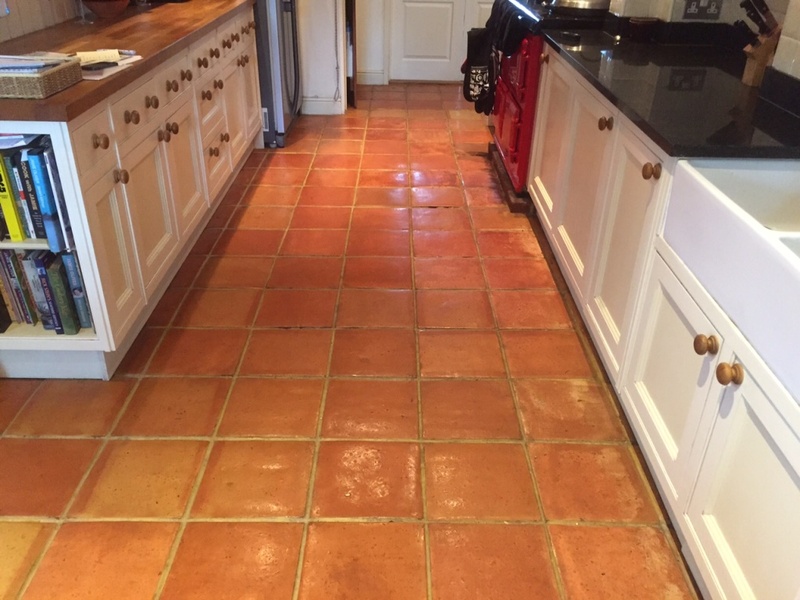 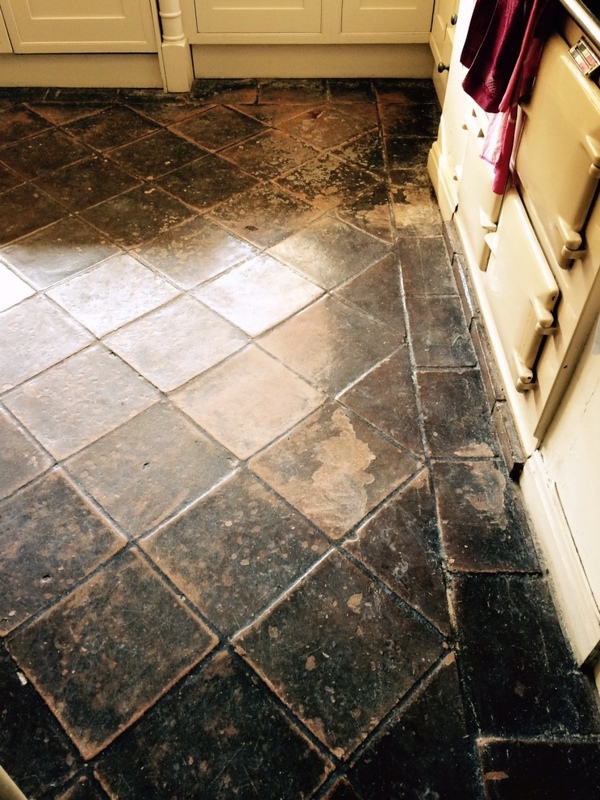 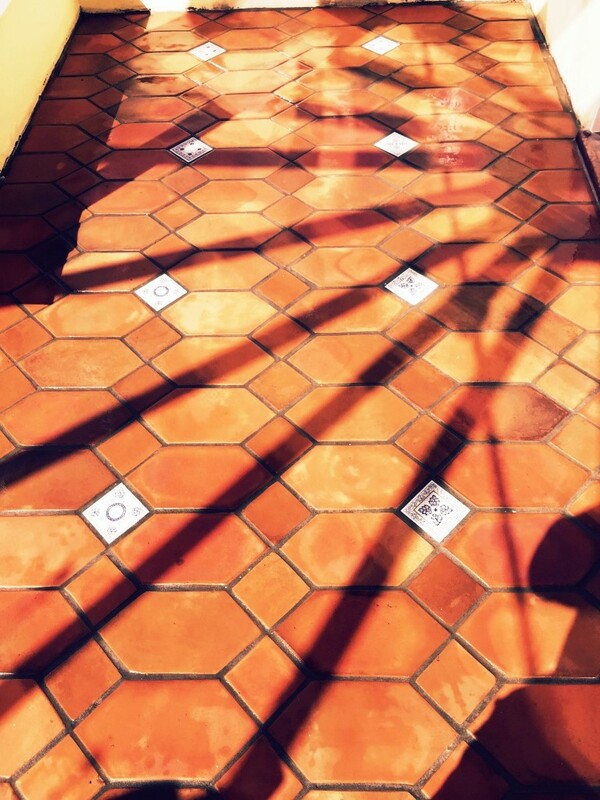 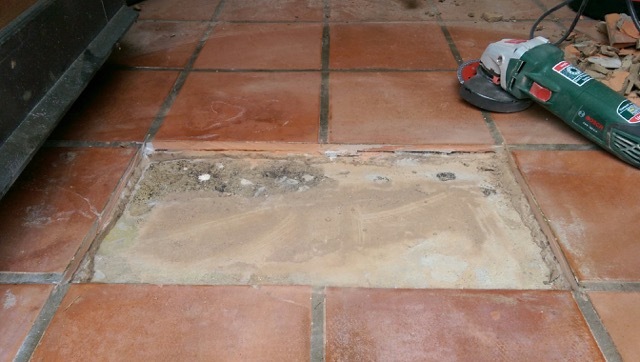 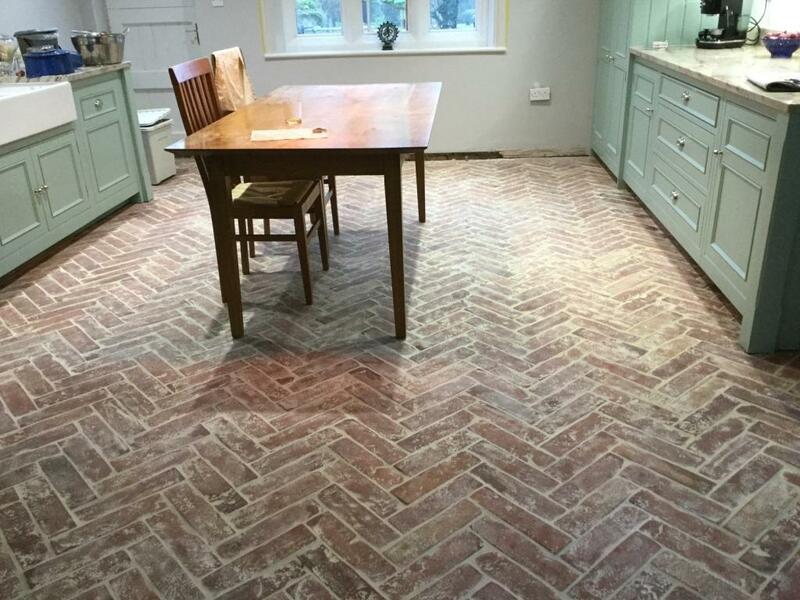 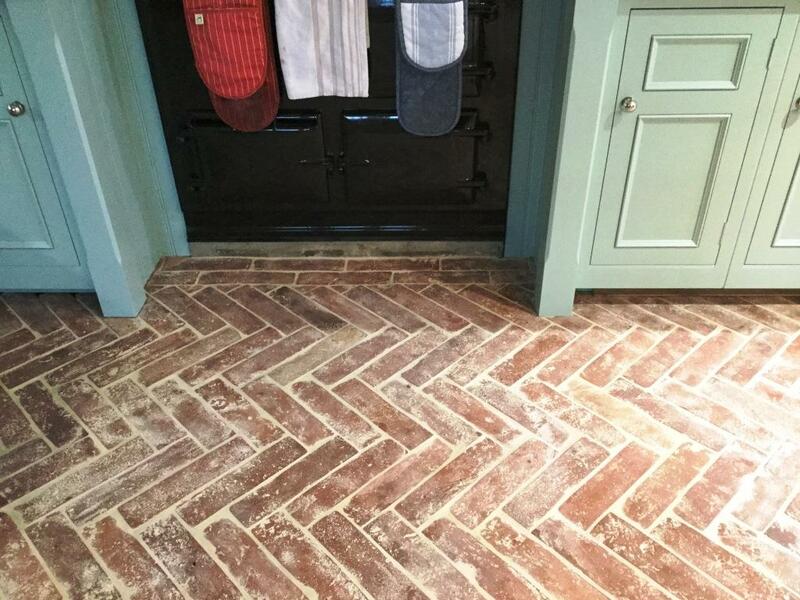 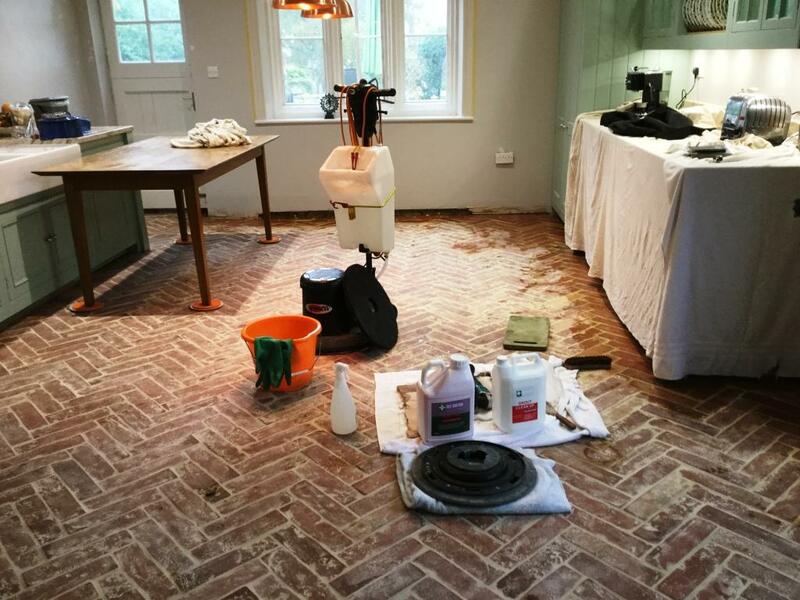 However, as anyone who has ever owned with a Terracotta tiled floor will know, a major downside to the stone is that it has no natural glaze on the surface, and therefore can pick up ingrained dirt very quickly. 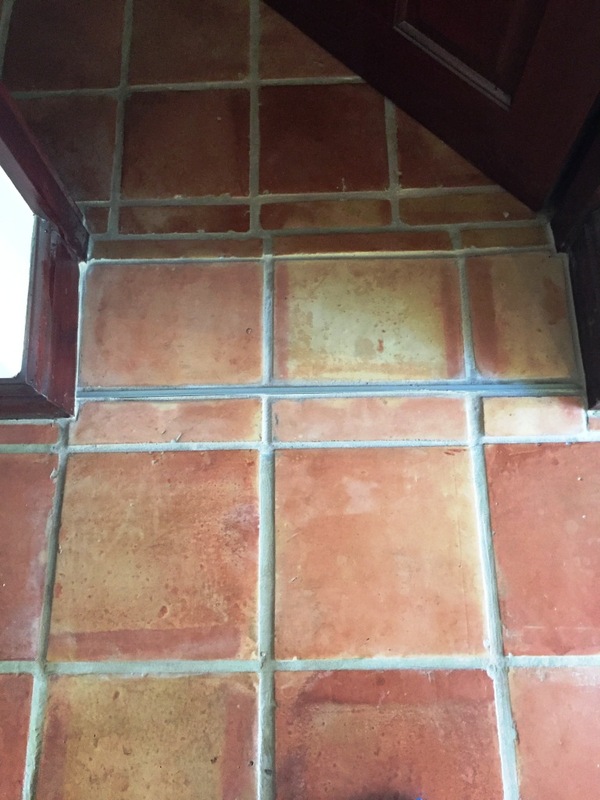 I began the cleaning process by focusing on the grout lines. 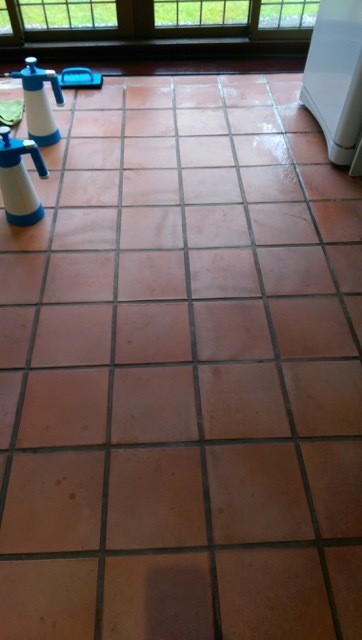 Firstly, I mixed a solution of one part Tile Doctor Pro-Clean to two parts clean water. 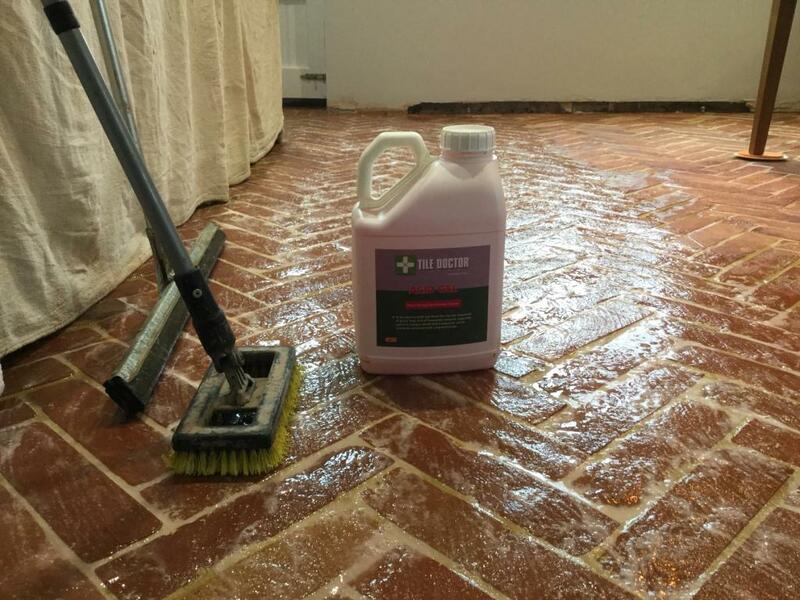 Pro-Clean is a high alkaline cleaner that is suitable for use on most types of natural stone tile. 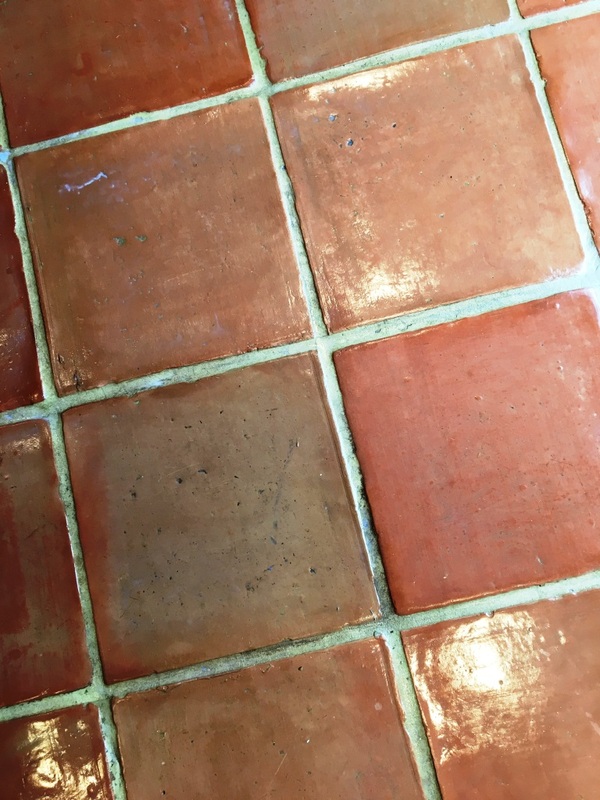 I scrubbed the solution into the grout lines using a stiff grout brush in order to lift out the ingrained dirt and freshen up the grout. 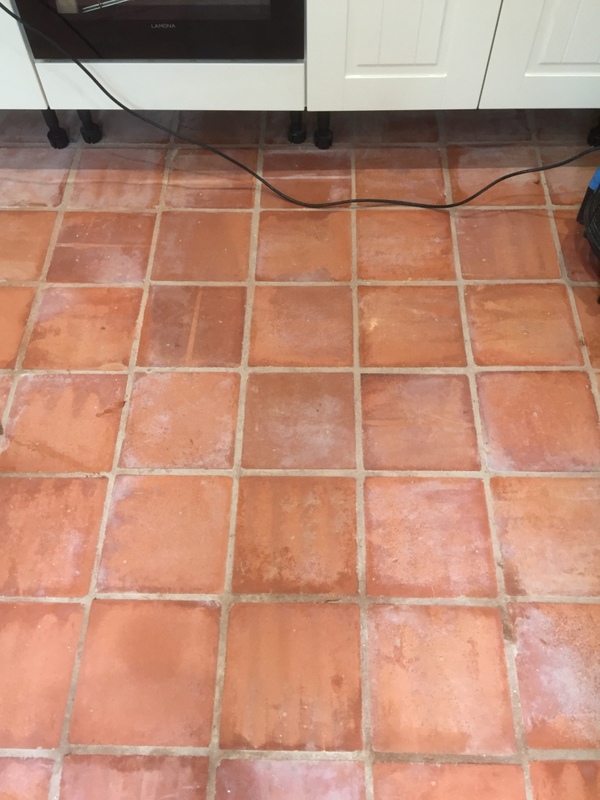 To clean the tiles I applied Tile Doctor Remove & Go, which is a powerful coating remover product designed to break down and strip away any remaining old sealer on the surface. 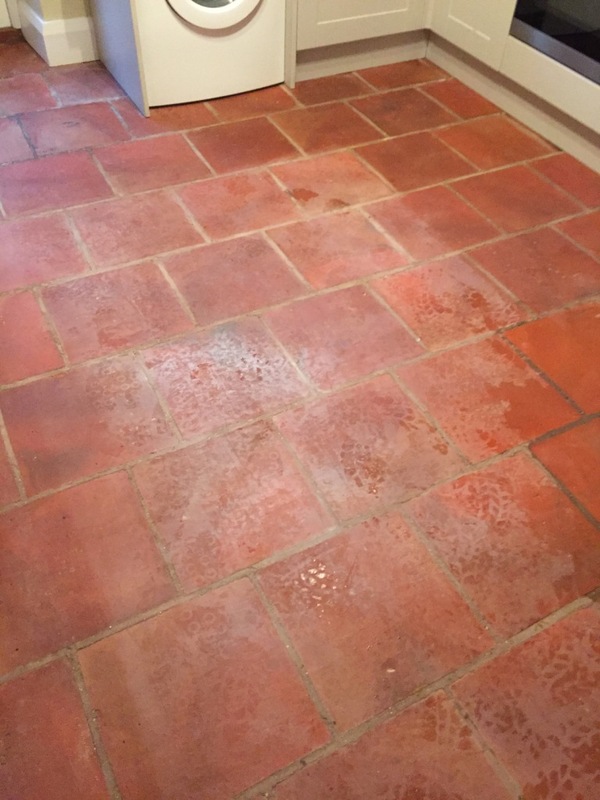 Nonetheless, most of the old sealer on this floor had clearly already worn away, allowing dirt and muck access to the tiles beneath. 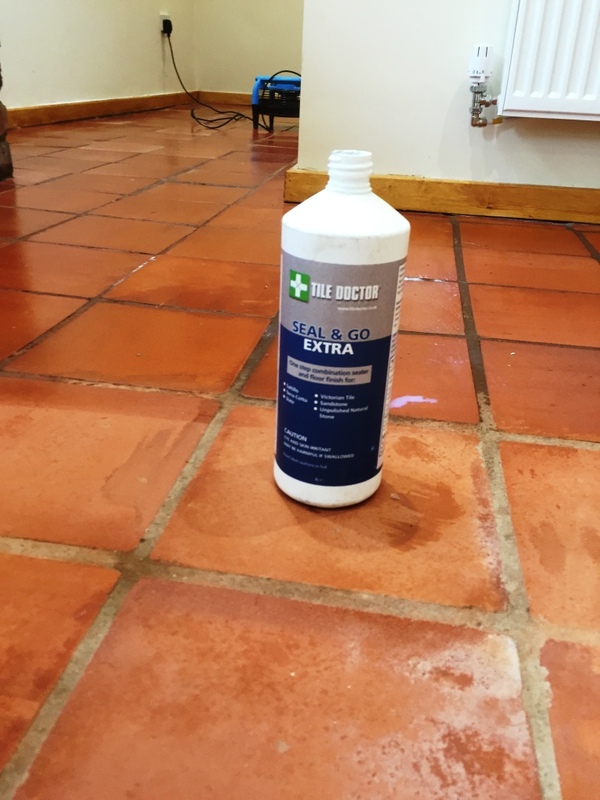 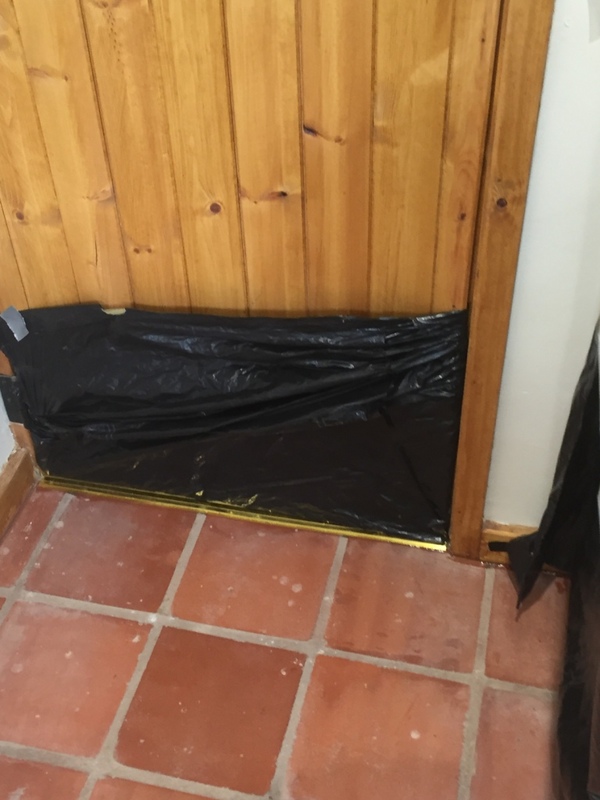 The product was applied to the tiles and agitated using a black scrubbing pad fitted to a rotary machine. 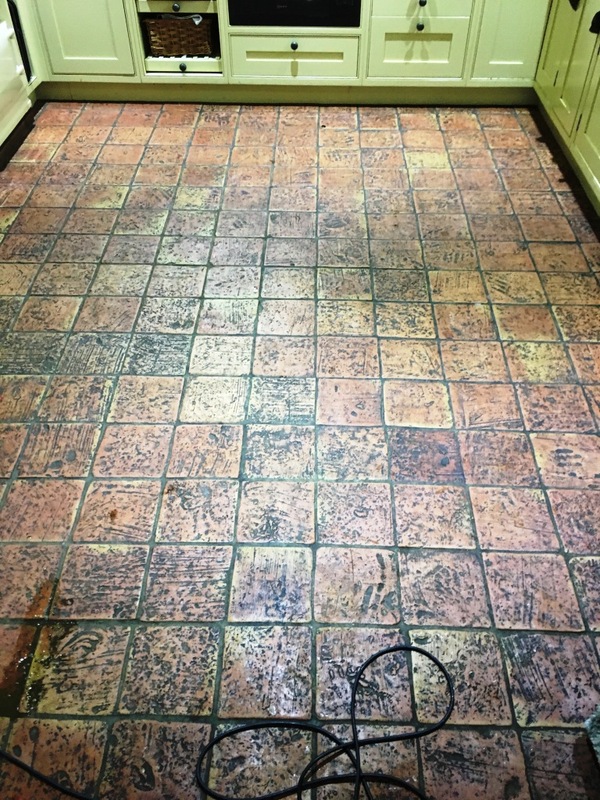 As you can see from the photographs, the clean made a marked difference to the appearance of the floor, and also helped to remove some linseed oil which had been applied at some point in the past. 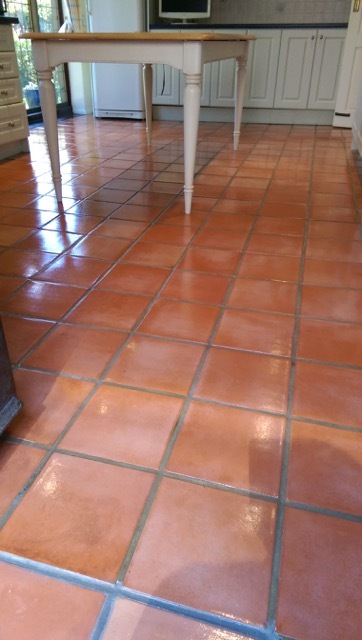 Once I was satisfied with the results of the clean, I left the house for a total of four days in order to allow enough time for the floor dry completely. 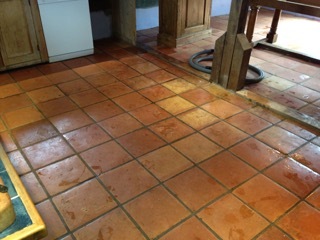 This was important, as any excess moisture can inadvertently affect the performance of the sealer. 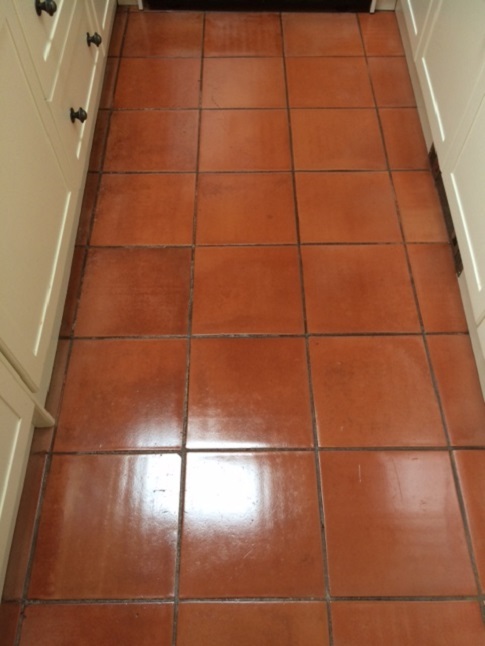 Upon my return, I finished off the job by sealing the floor with multiple coats of Tile Doctor Seal & Go. 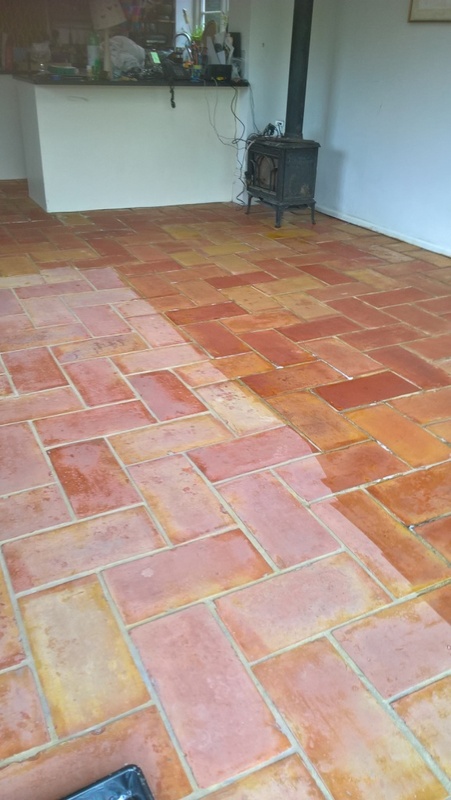 Seal & Go offers durable surface protection, which is especially important for porous stone like Terracotta that can, as I’ve mentioned, become very easily ingrained with dirt. 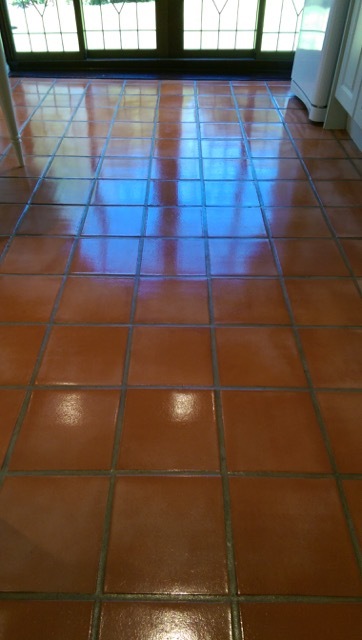 Seal & Go also provided the aesthetically pleasing, low sheen finish that my client had requested. 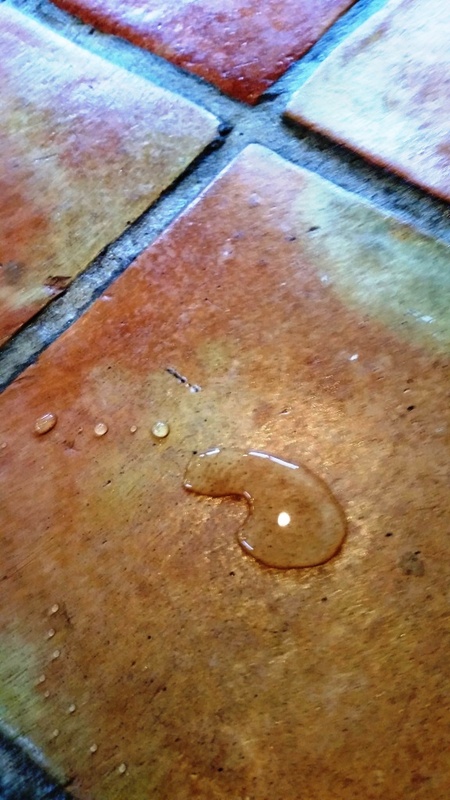 TIP: If you have ever wondered how to tell if you floor is fully sealed, simply add a few drops of water to the surface; if the water forms a bubble on the surface as in the photograph below, then its sealed.